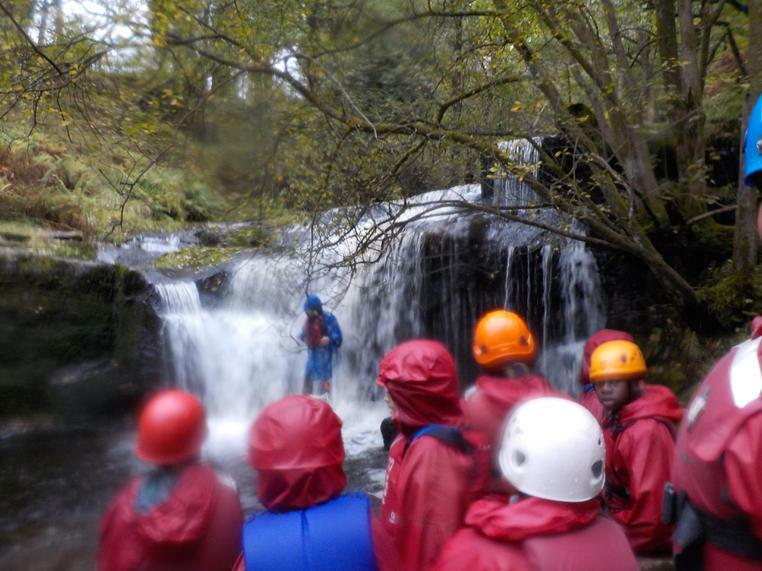 It's so hard to believe the end of our adventure is almost here but what an incredible final day we had. 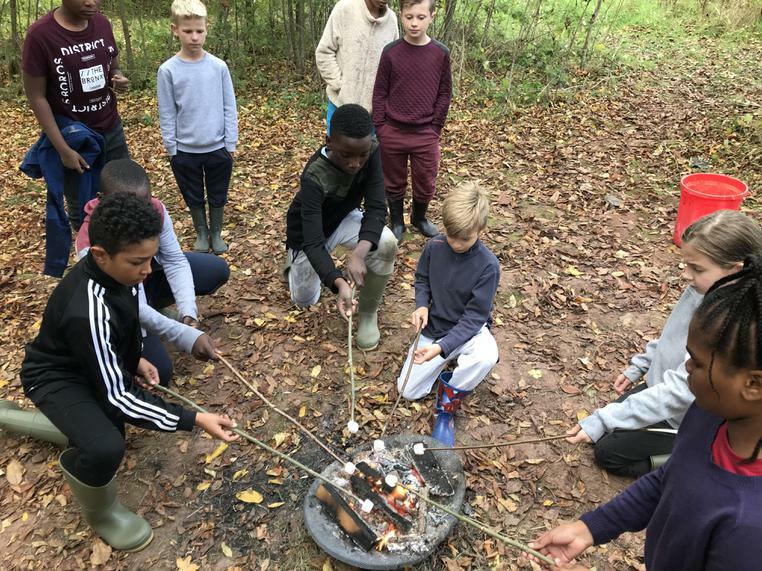 When we woke up this morning, we all knew it would be amazing as the weather was absolutely spectacular - it certainly made a welcome change from yesterday. 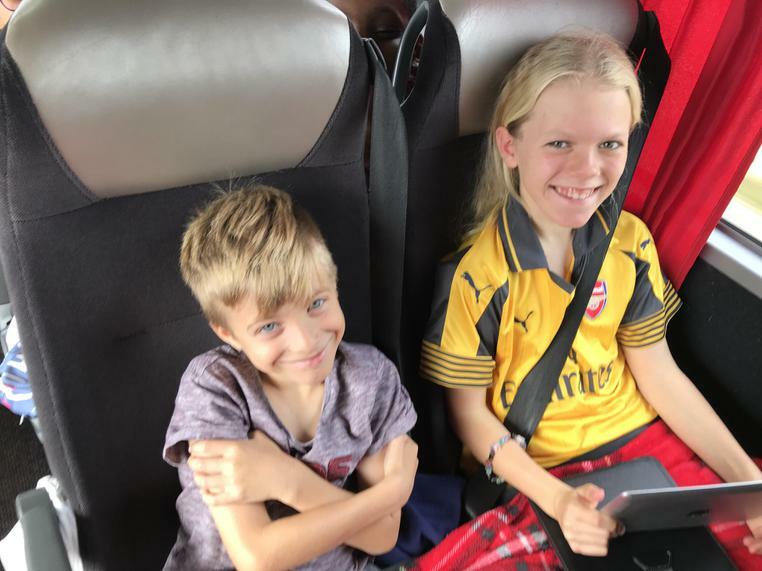 All the children are excited to be heading home to their families and friends but really don't want to leave as they have enjoyed themselves immensely. 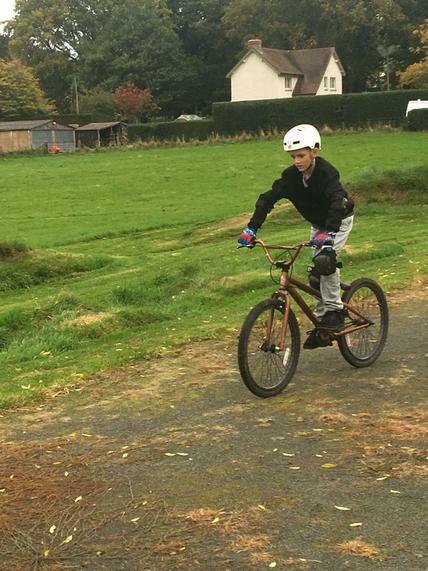 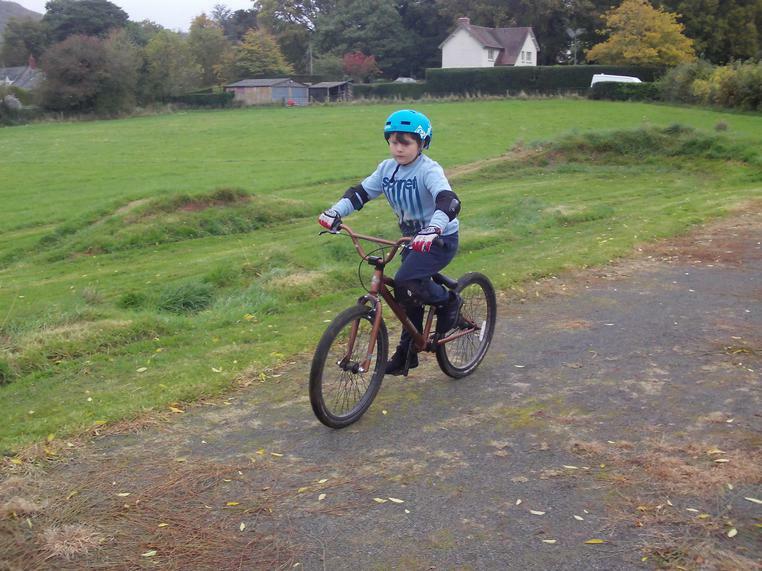 Today brought a variety of adventures for group one as they took to the BMX track in the morning. 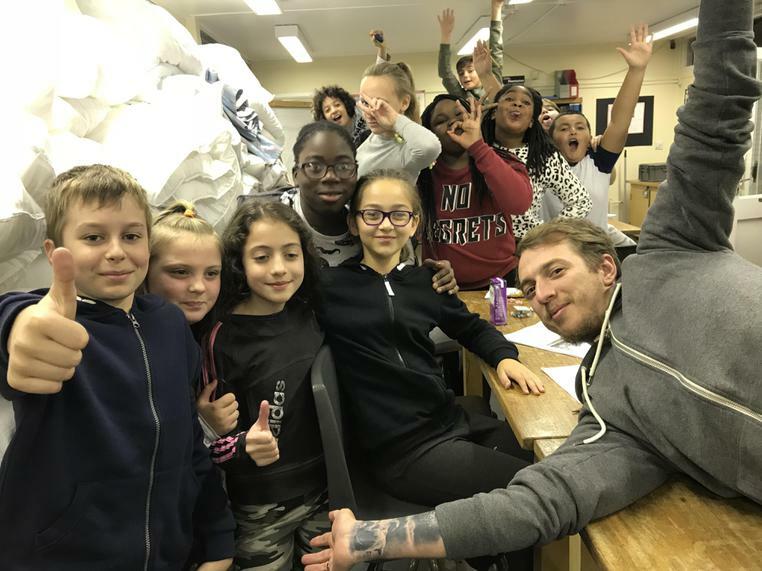 What an incredible, resilient group they are. 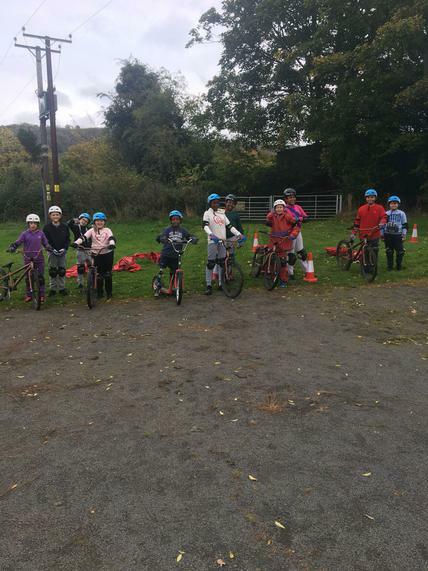 Several of them really struggled to ride the bikes but the words 'give up' did not seem to be in their vocabulary. 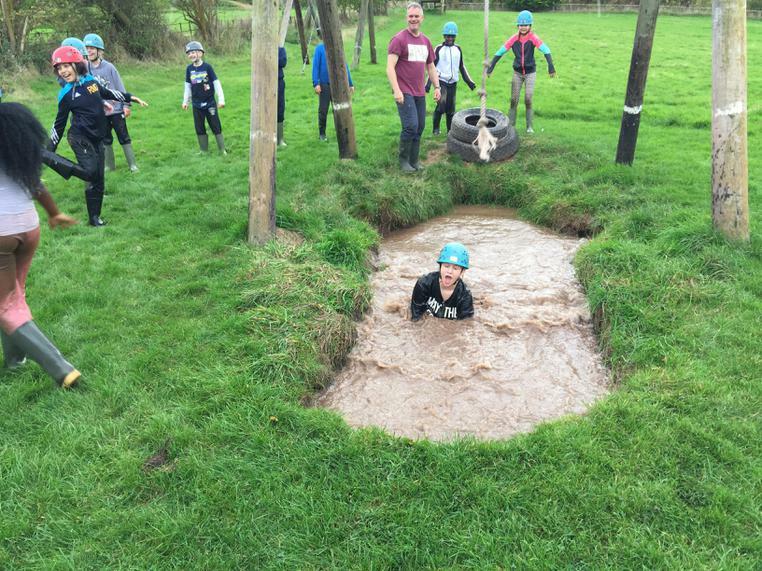 It was amazing to speak to them and they discussed their growth mindsets and kept saying: "I can't do it - yet." 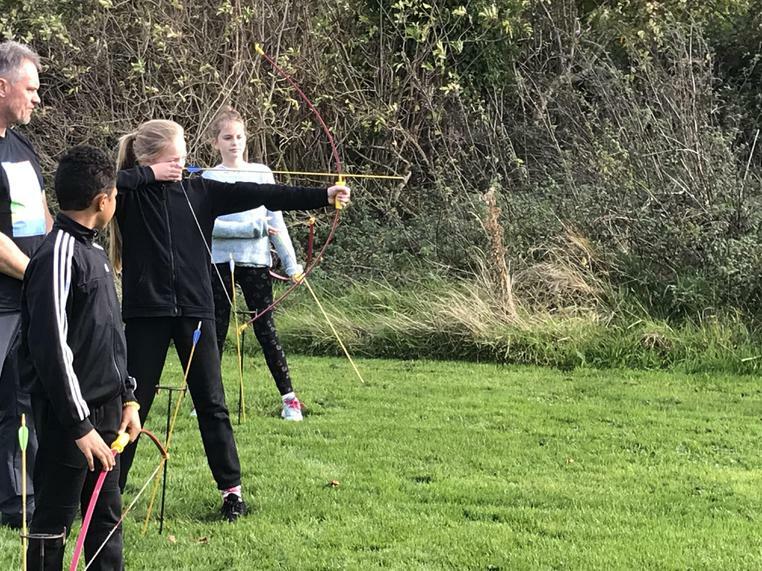 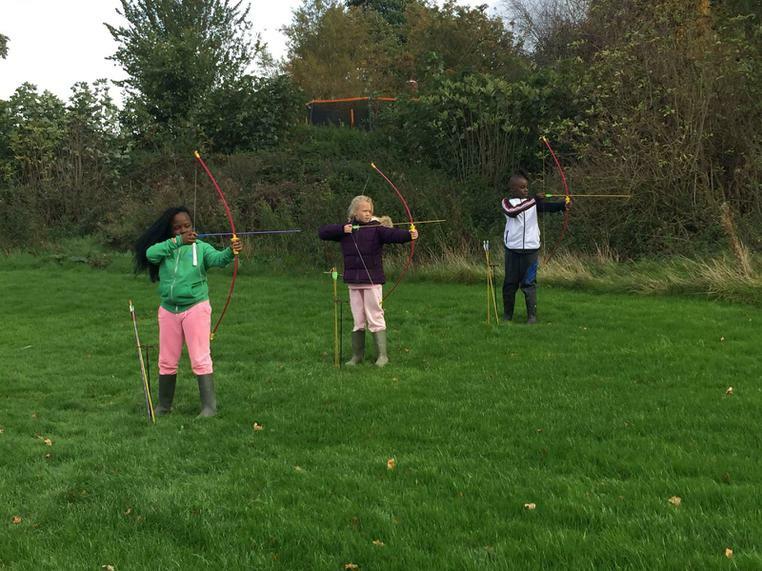 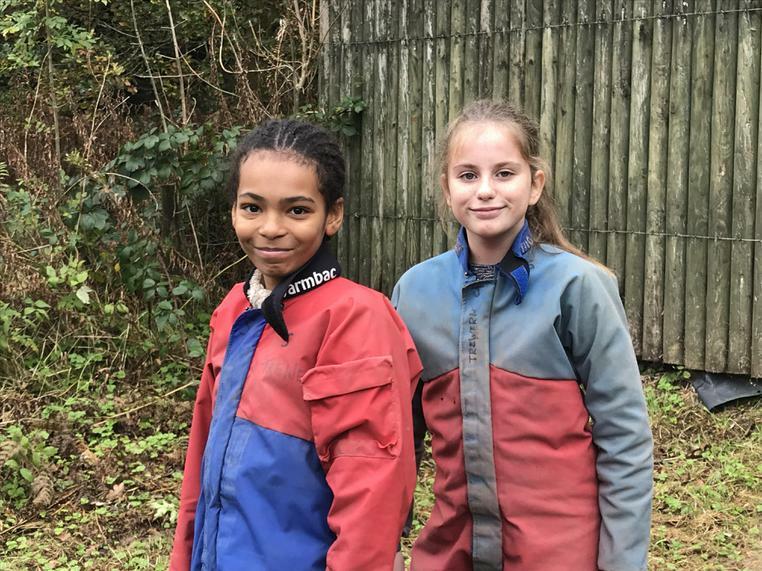 After BMX, they moved on to try out some archery, shelter building, fire building, marshmallow roasting and finished the day off with their turn in the epic muddy puddle. 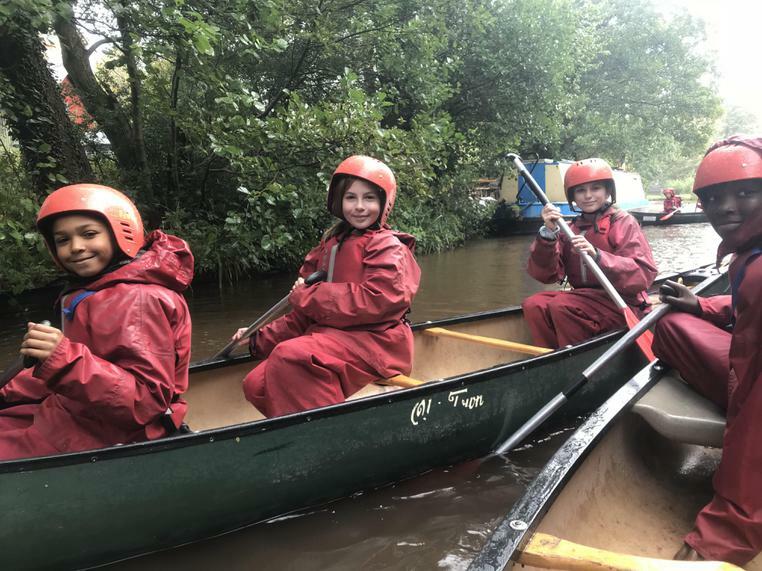 Group two had the opportunity to canoe on the local canals and the good weather certainly allowed them to complete a lot more than some of the other groups during the week. 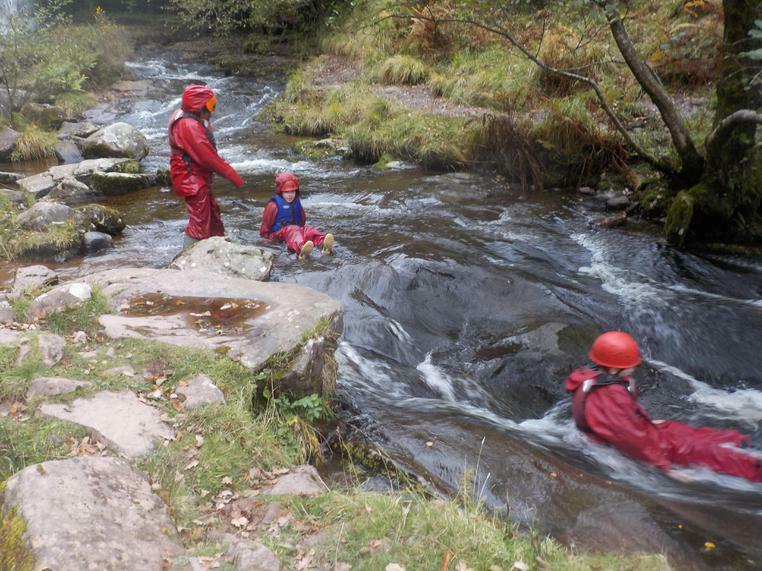 They showed themselves to be quick learners and (amazingly) nobody capsized! 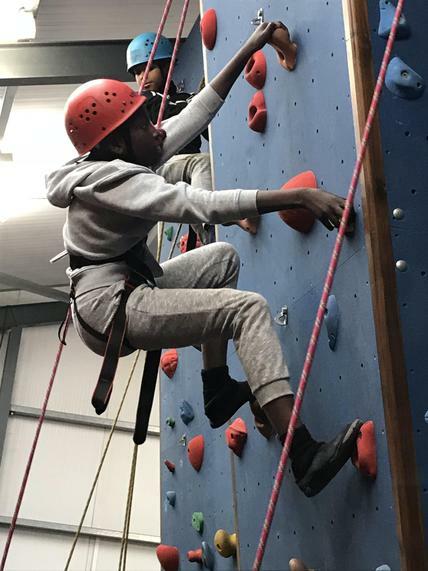 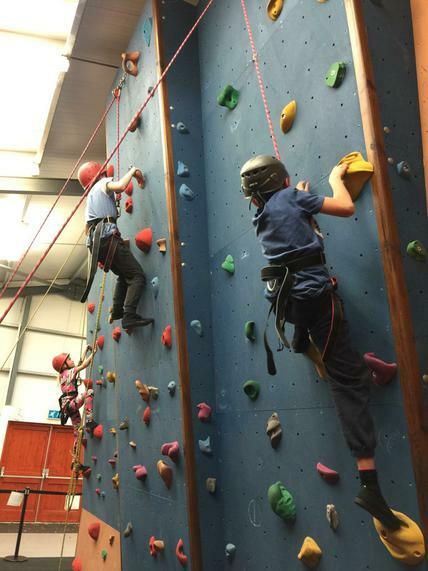 After their water based adventures, they turned their attention to the indoor climbing wall. 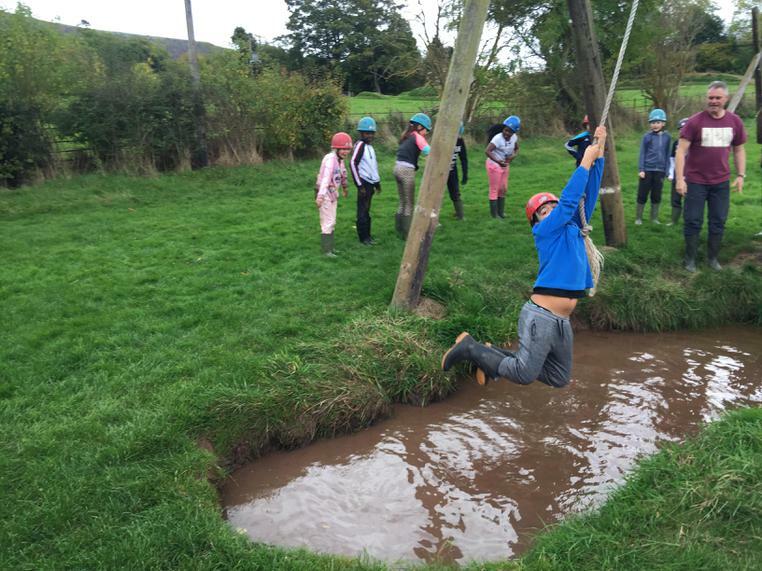 Much like group one, they continued to display a growth mindset and refused to give up. 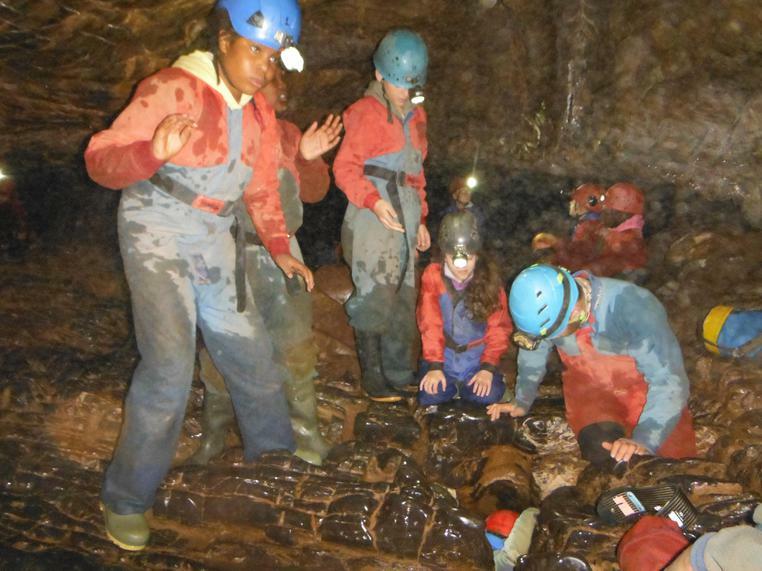 The final group (three) had their opportunity to explore some of the caves. 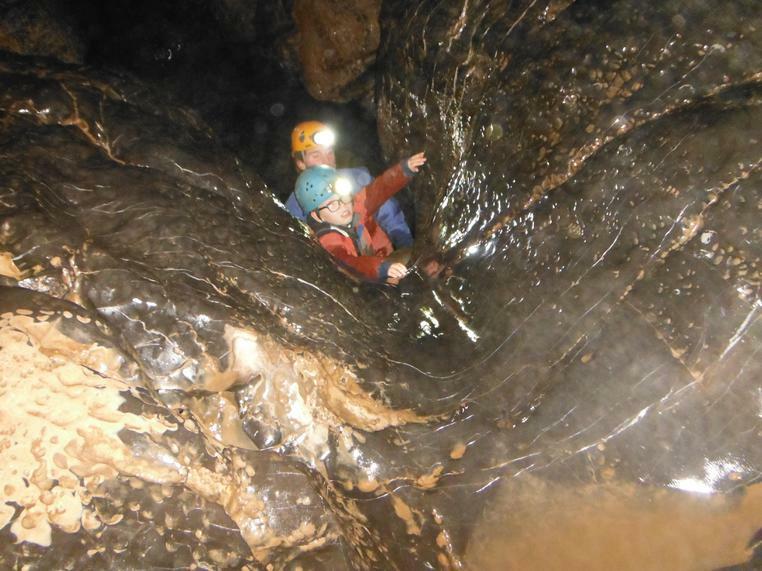 Although there was some apprehension, nobody thought twice about venturing through the caves and even squeezed themselves through the 'post box'. 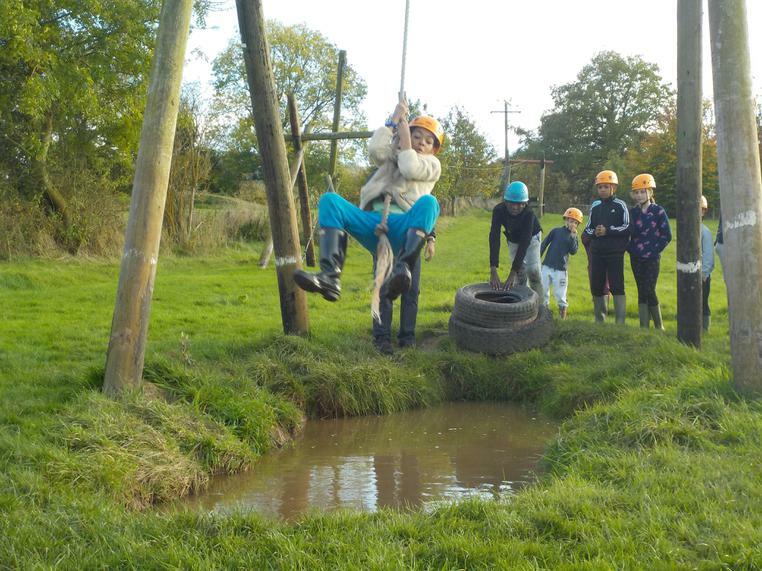 All the children had the opportunity to finish off the day trying out the Trewern ropes coarse as well as taking the time to write some thank you letter to all the incredible Trewern staff members who helped to make this such a memorable week. 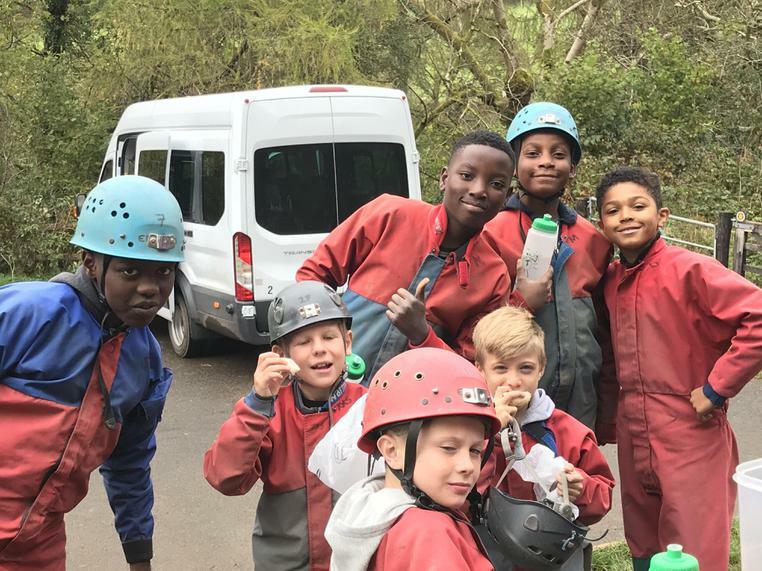 It has certainly been an adventure and it sure is amazing to see how much the children have grown and matured during the week. 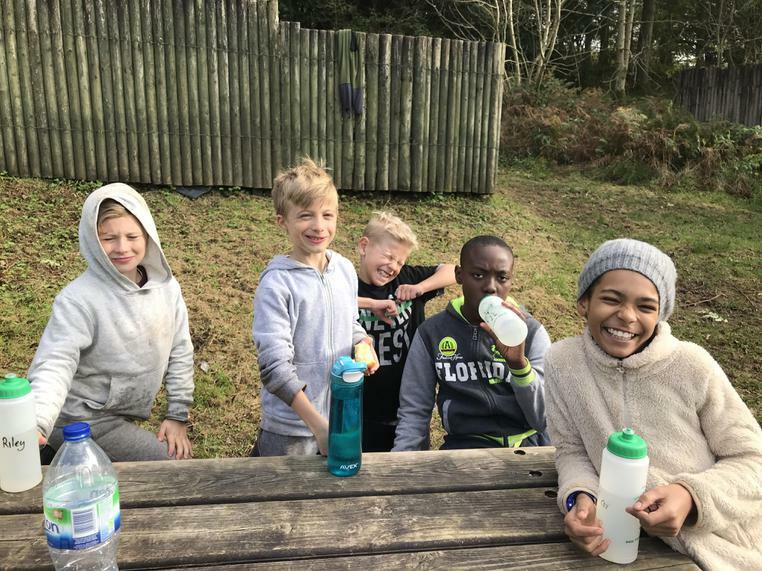 It has been an absolute pleasure to work with all these children and the Godwin staff just hope the children repay them by sleeping on the coach journey home tomorrow! 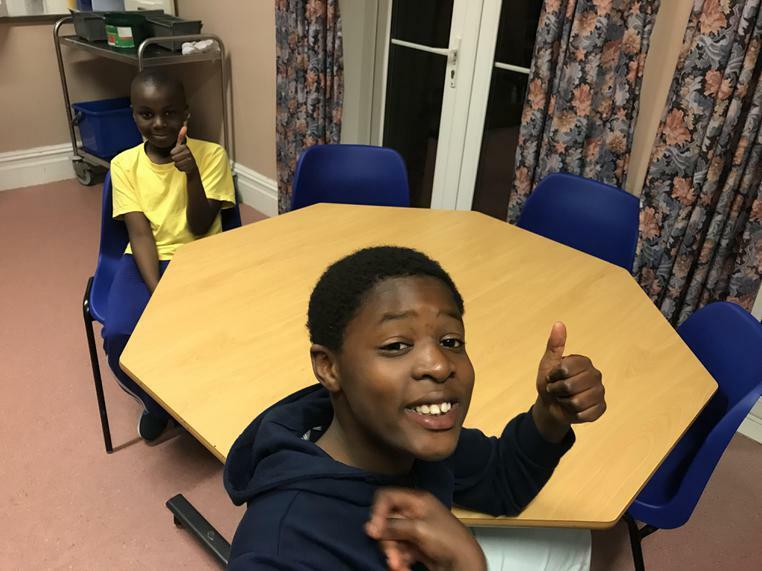 Thank you all for the taking the time to follow our blog during the week and there will be more photos added early next week - once Mr Moran and company have had a change to recover! 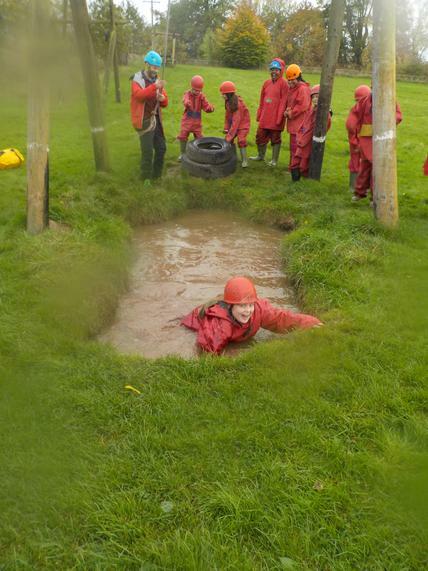 Wednesday's at Trewern are famous for the 'Wednesday dip' meaning that this is the day children usually begin to slow down and struggle on the activities. 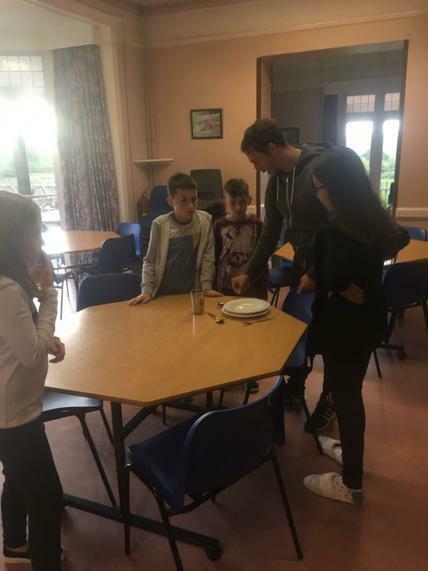 That certainly seemed like that might be the case when the children sluggishly made their way down for breakfast. 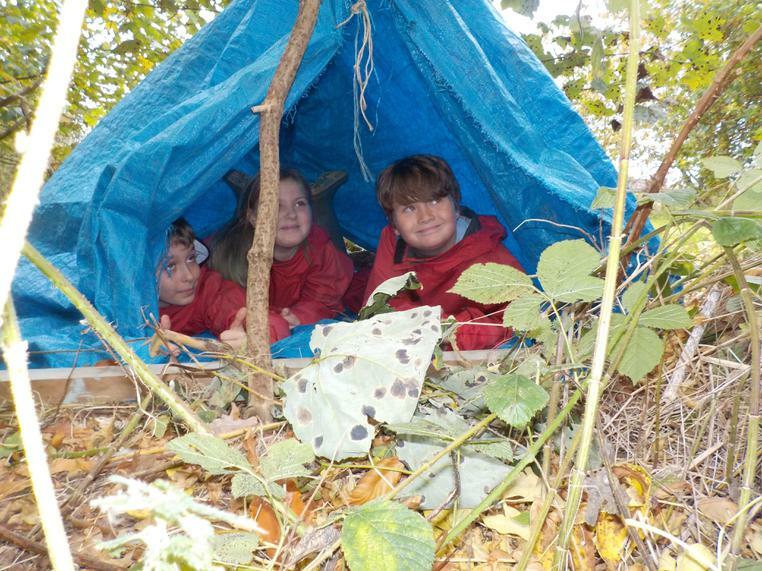 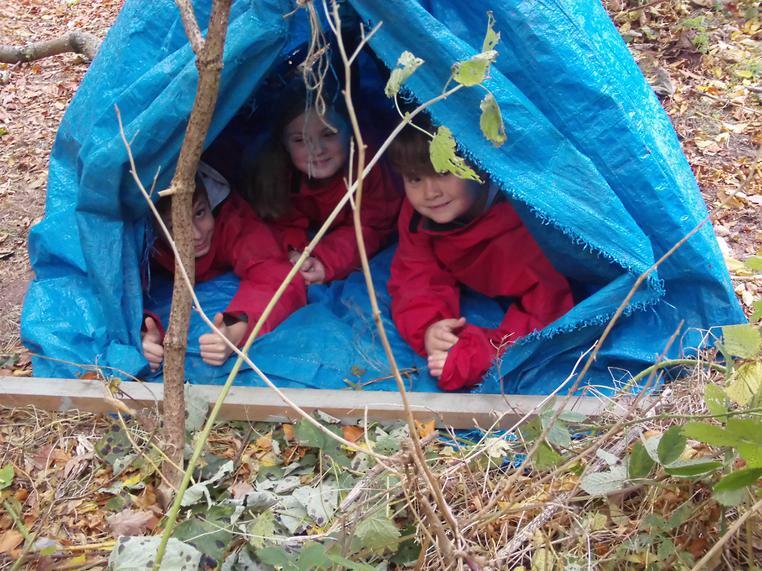 However, after a conversation the children decided that they really wanted to show their resilience and they did. 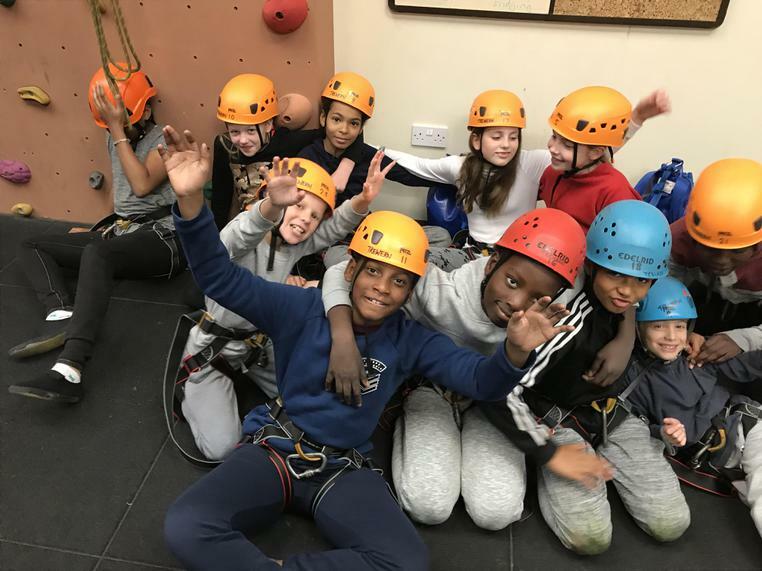 Everybody is certainly a bit tired and feeling the effects of an exhausting week but we are all pushing through and having an incredible time. 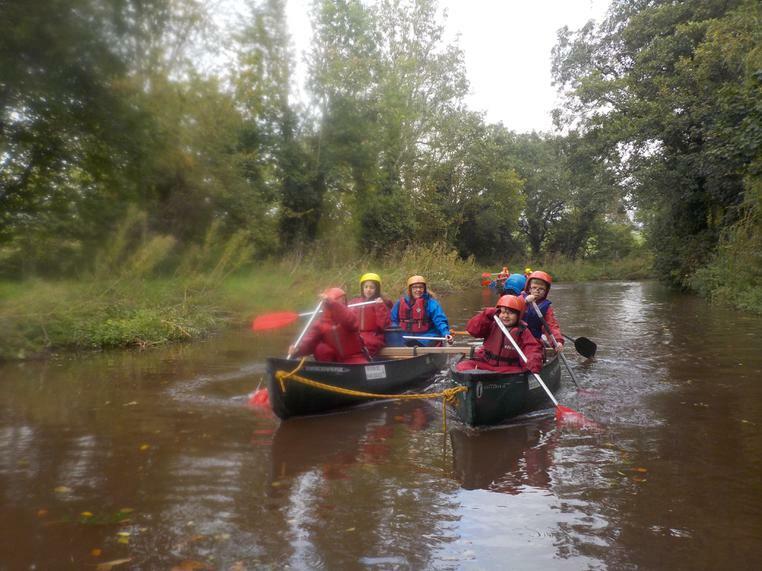 Although the weather did not cooperate too well today, group one still ventured onto the local canals for some canoeing. 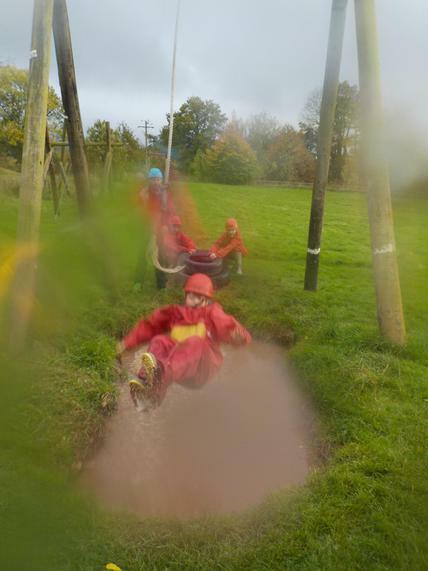 The wind and rain made it a real challenge but the children worked together and learned some new skills. 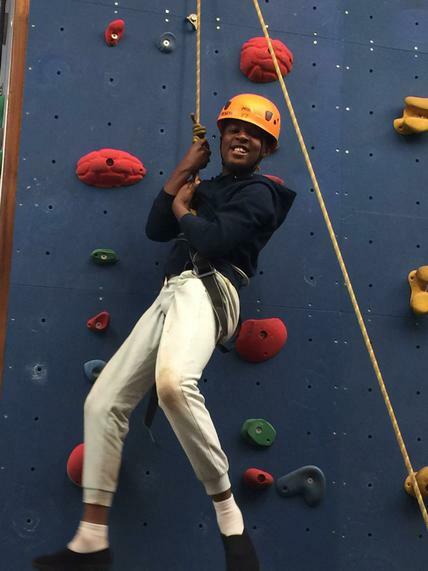 In the afternoon, they were fortunate enough to be indoors and exploring the rock climbing wall. 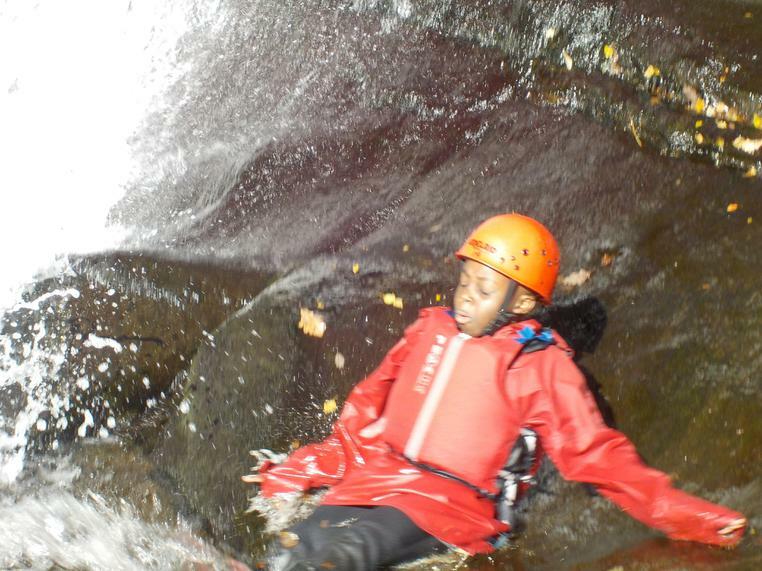 It was a real challenge for some of the children but nobody quit and everyone really pushed themselves. 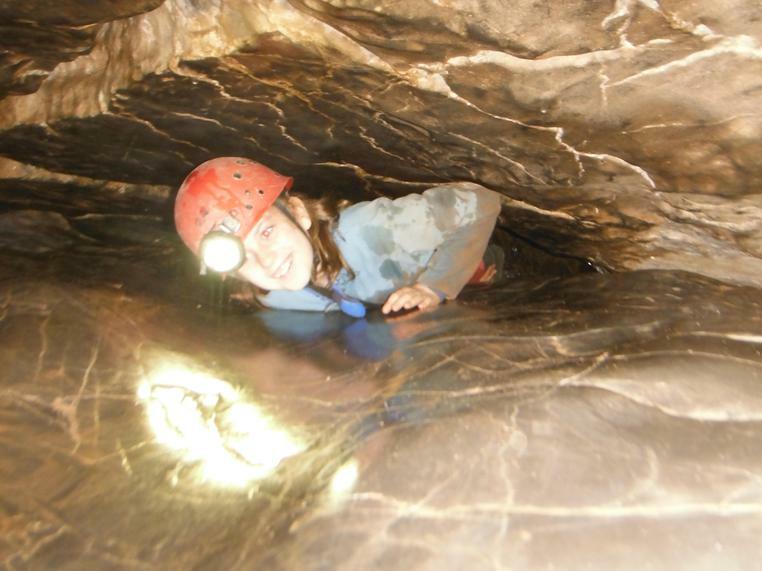 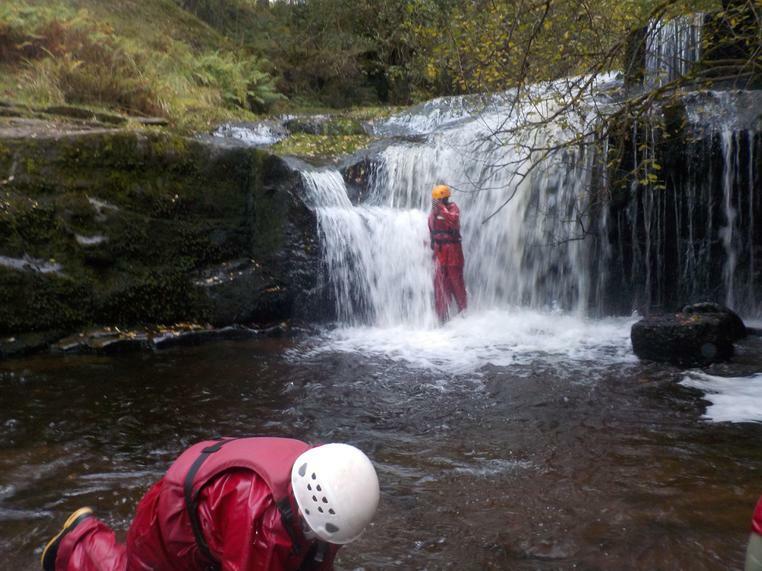 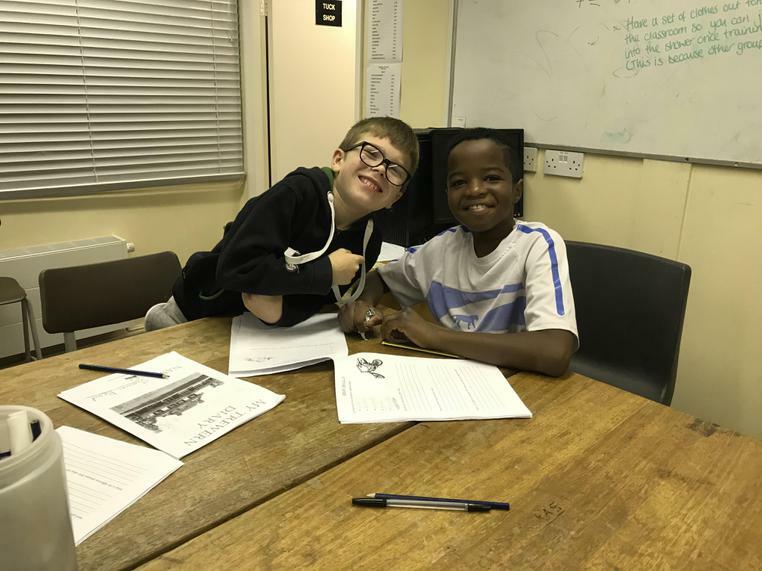 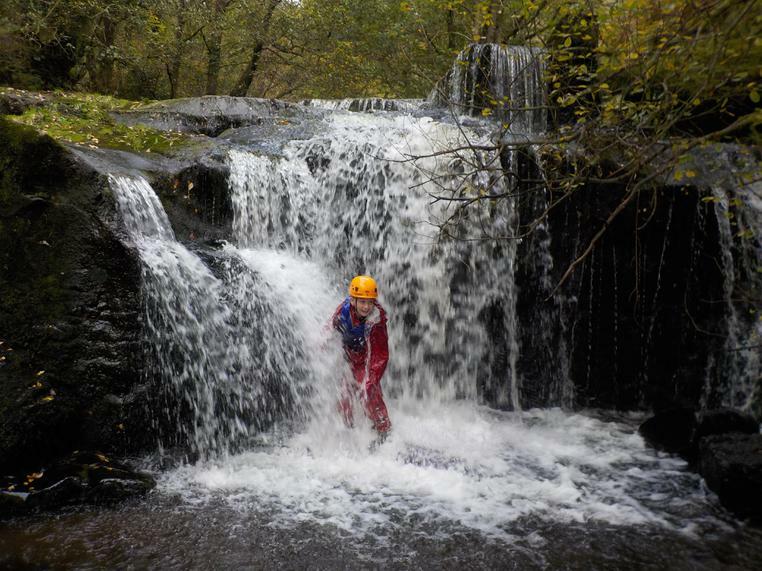 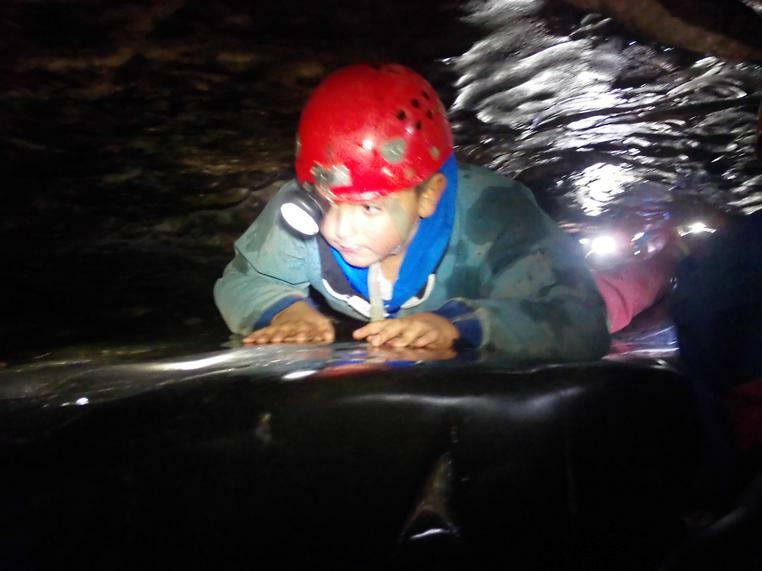 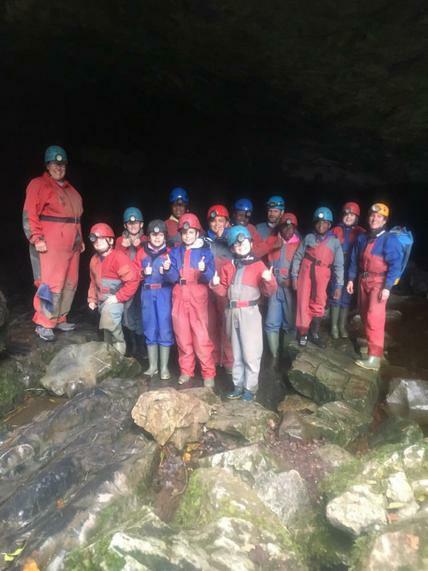 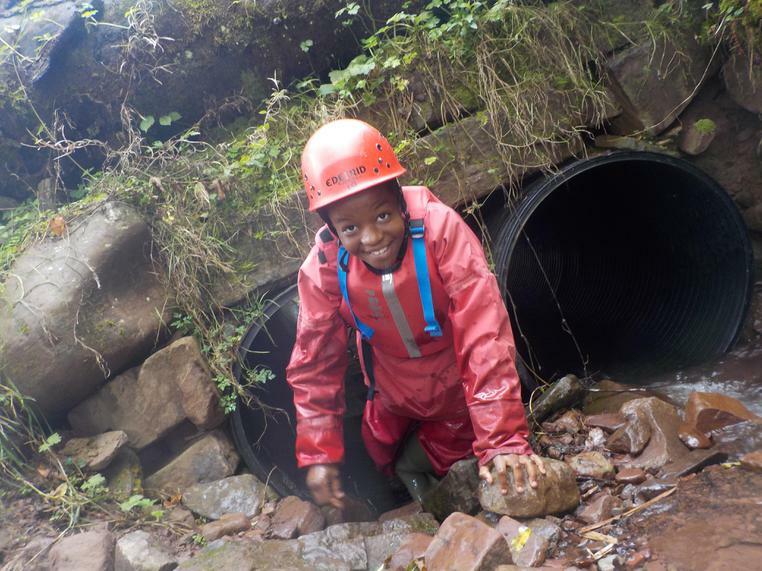 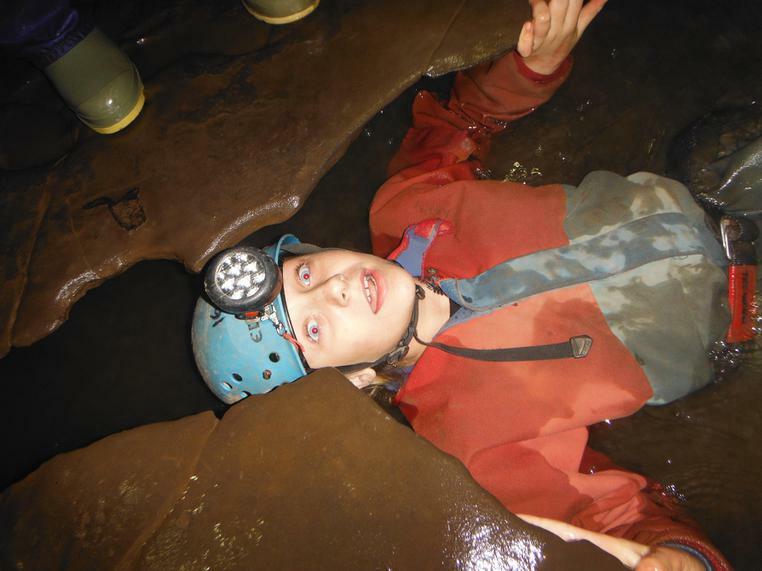 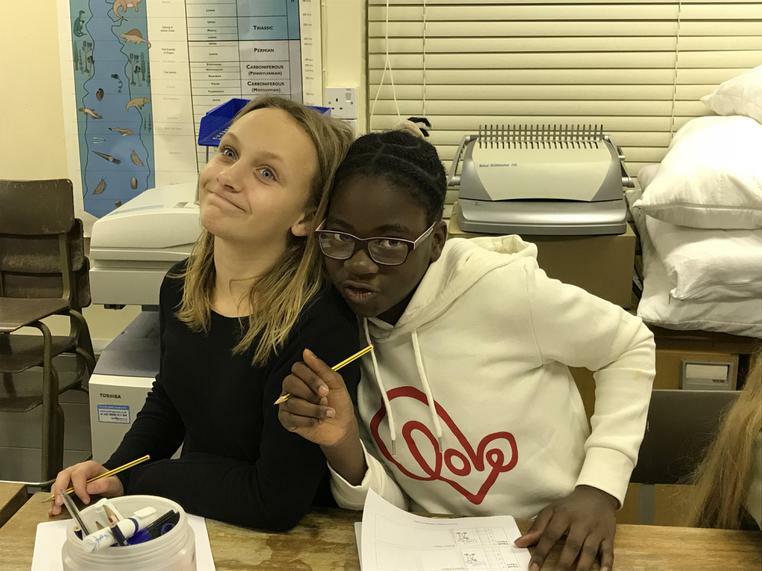 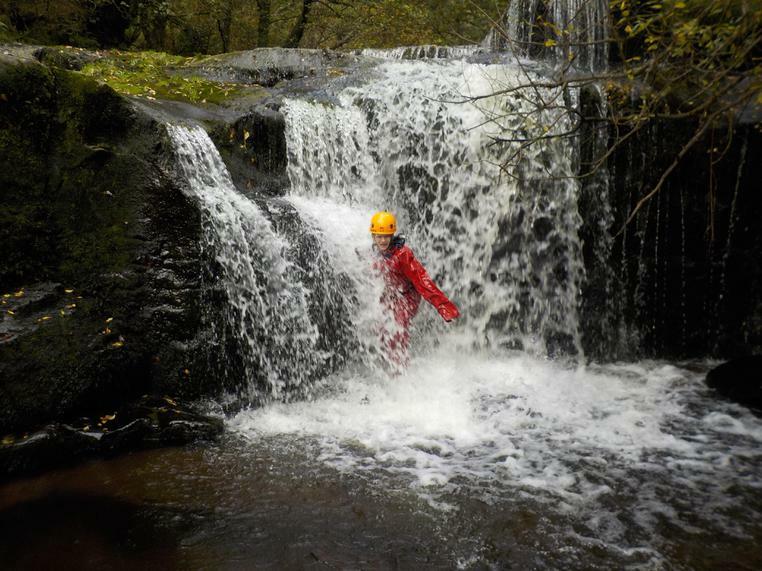 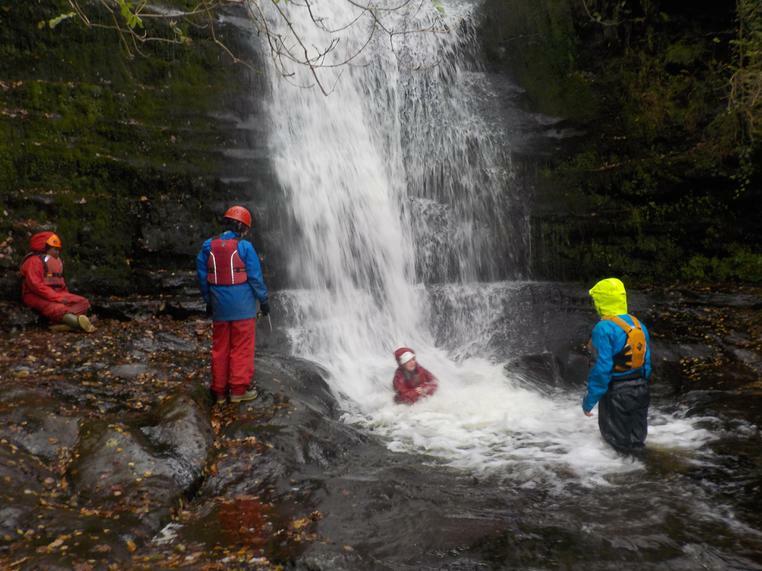 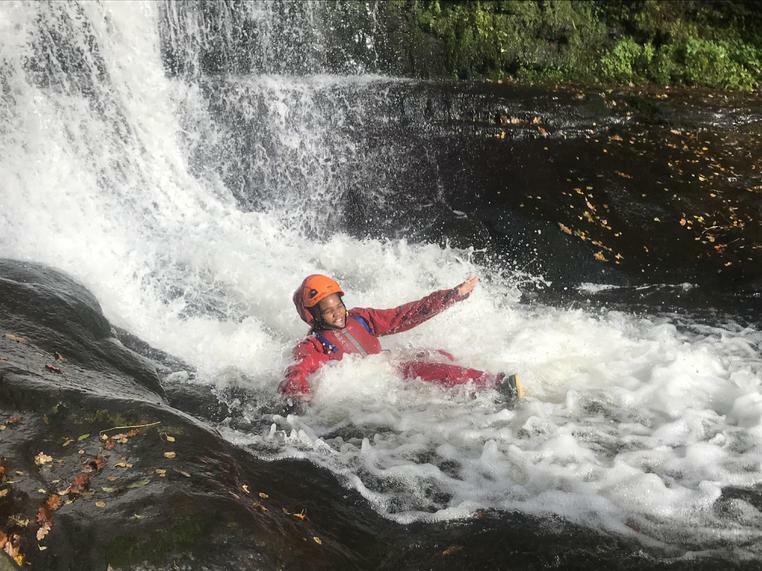 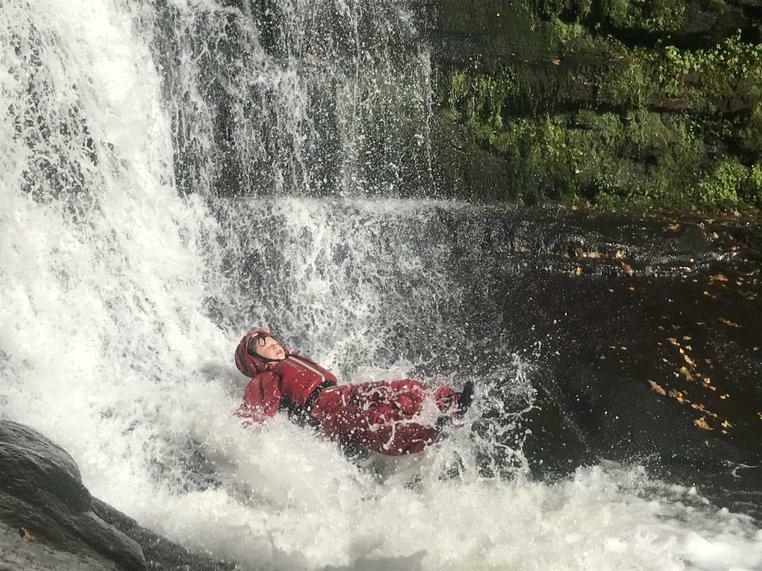 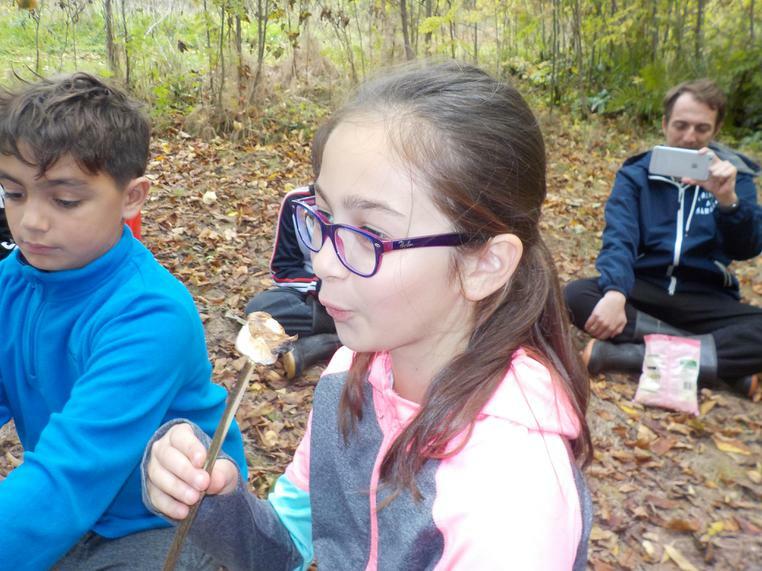 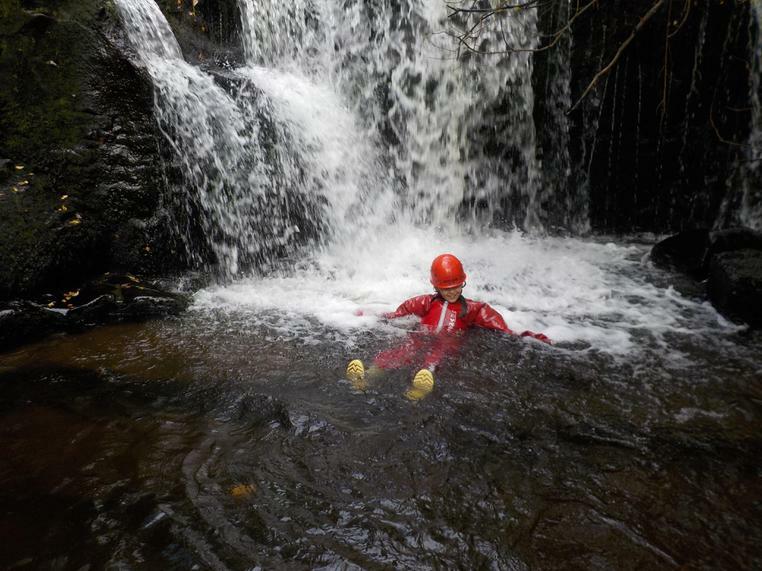 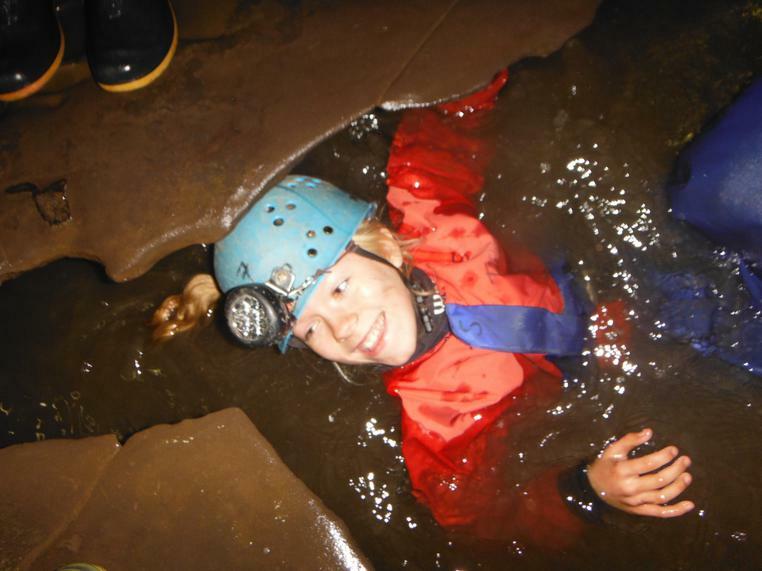 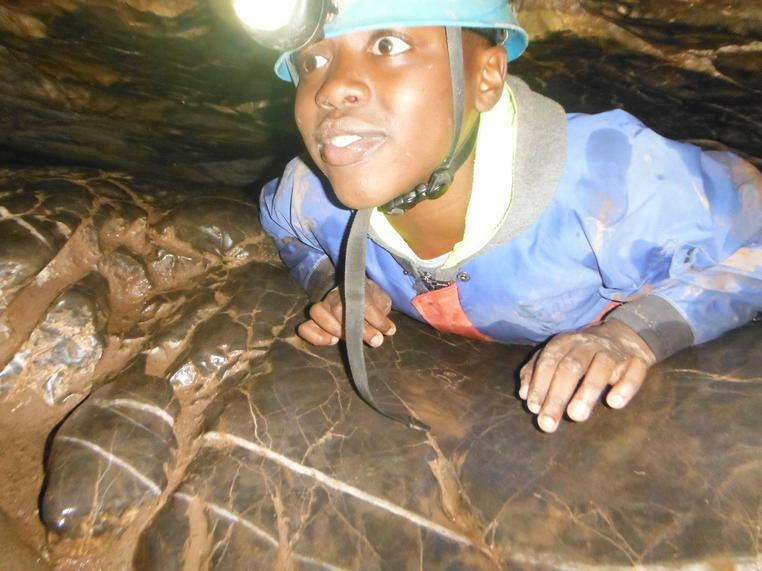 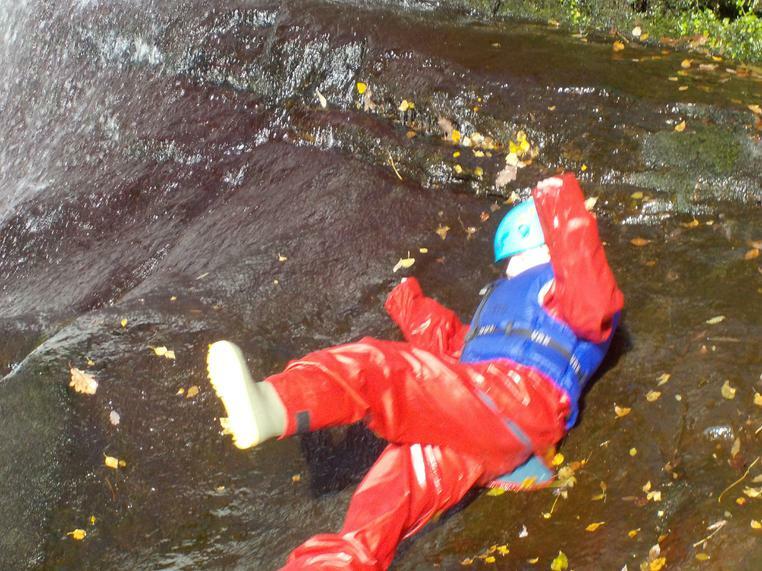 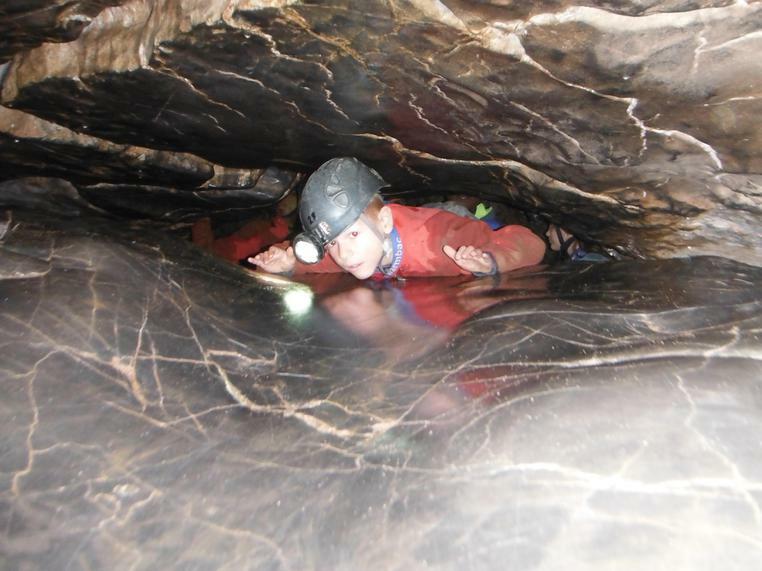 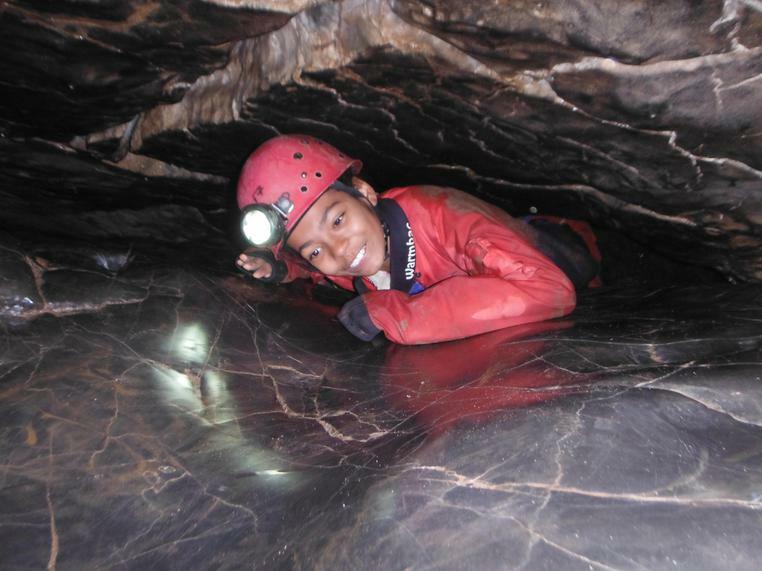 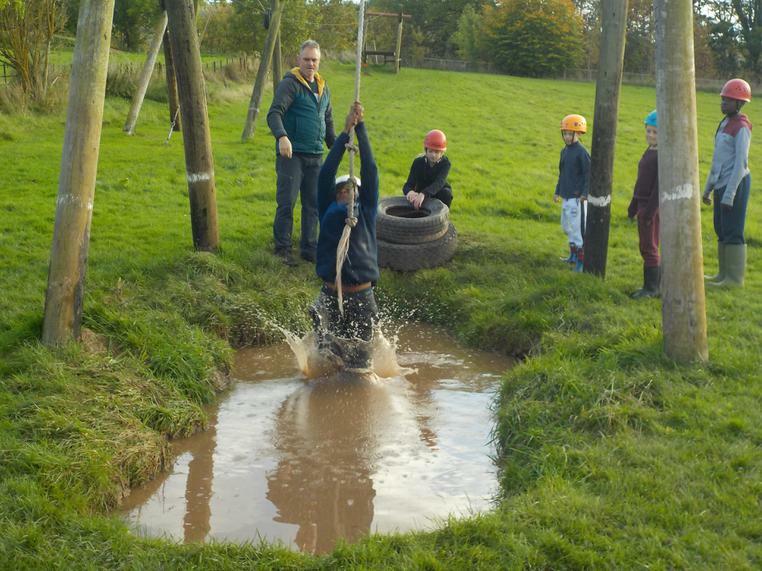 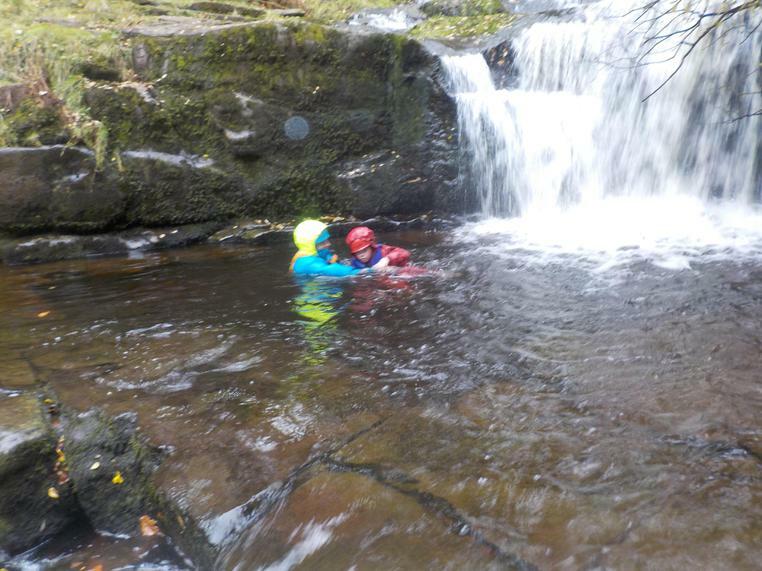 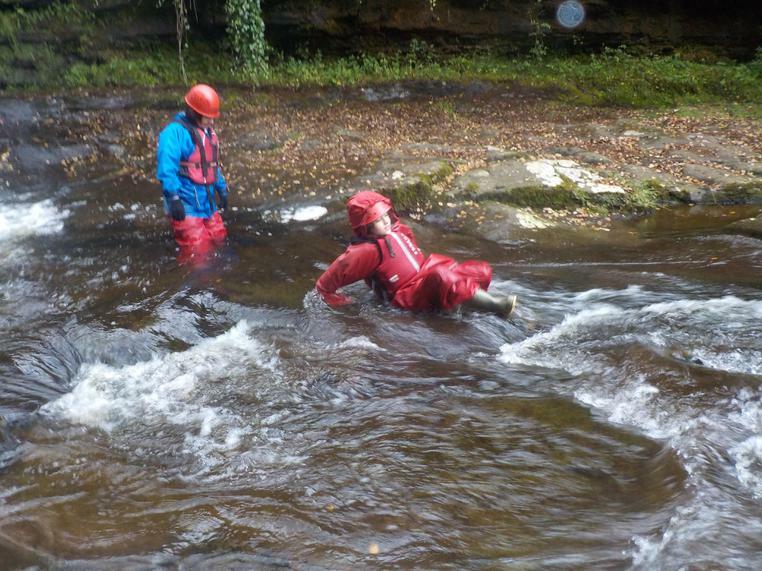 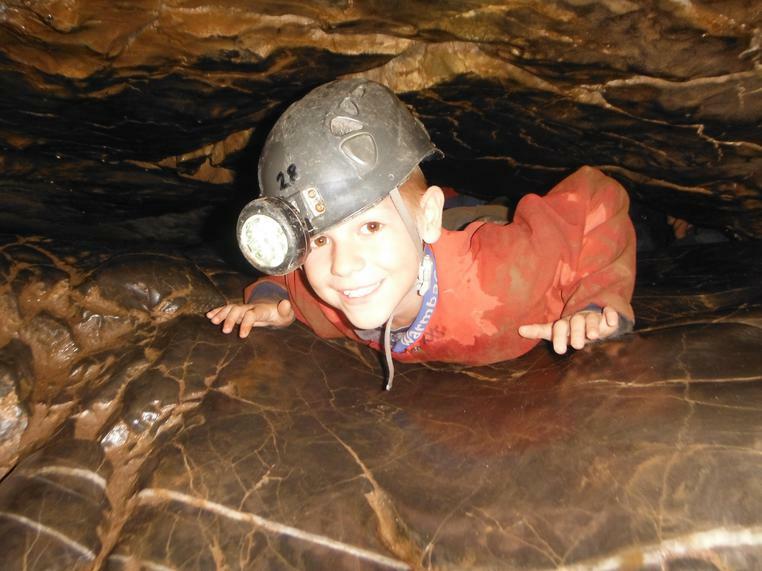 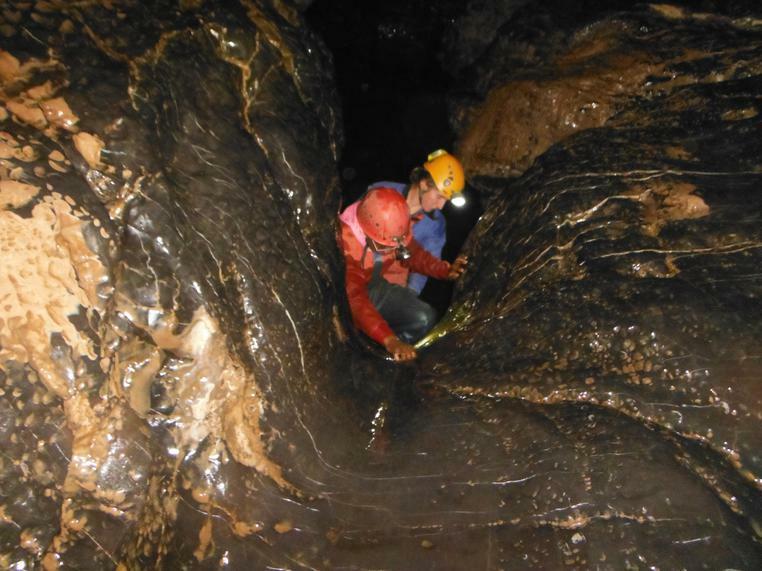 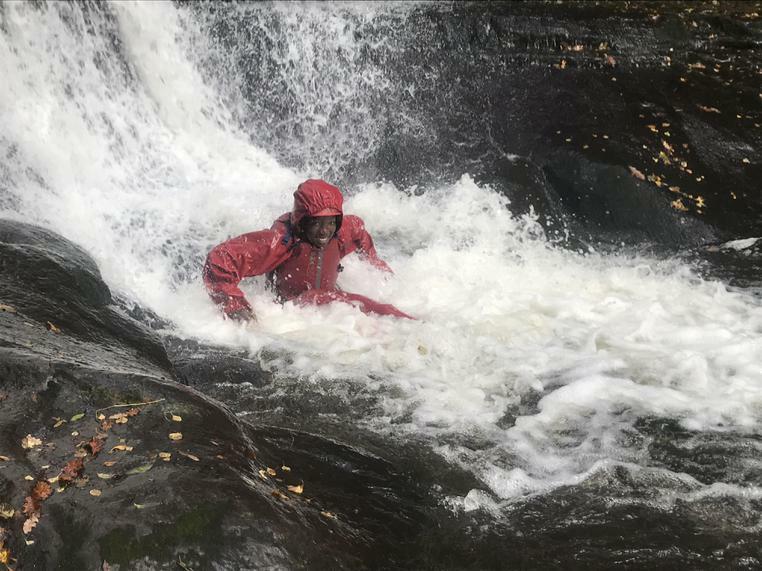 Due to the rising water levels, group two had to make a slight change to their caving adventures but they were able to try somewhere completely different and had an absolutely fantastic time. 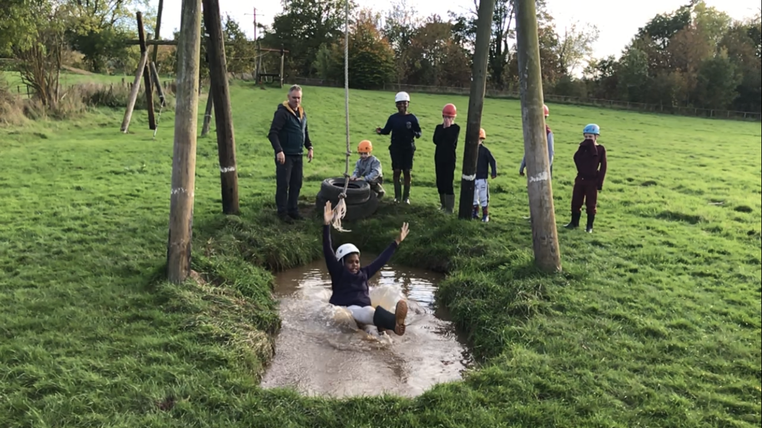 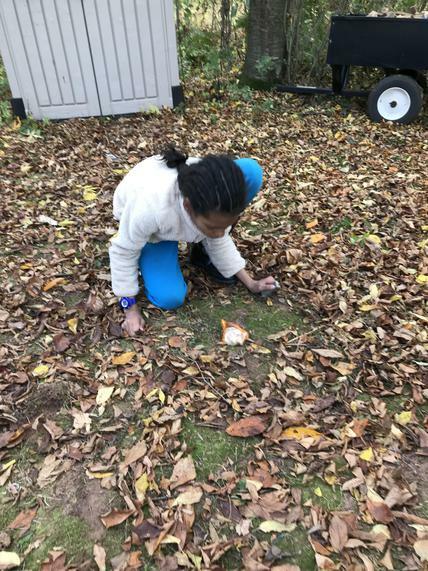 Group three had a variety filled onsite day which included such adventures as BMX (where everybody learned to ride), shelter building, marshmallow roasting and of course it was their turn today to try and conquer the muddy puddle. 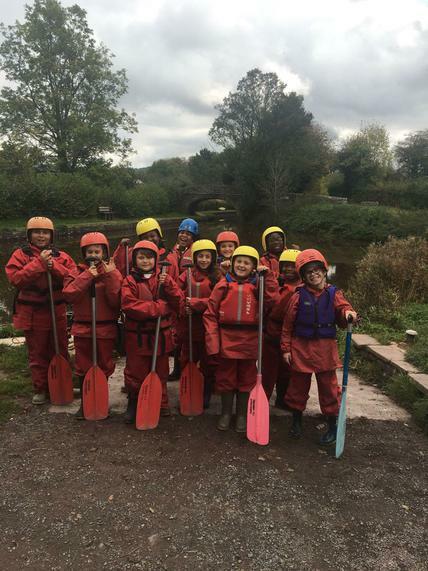 It's hard to believe but tomorrow will be our last full day at Trewern. 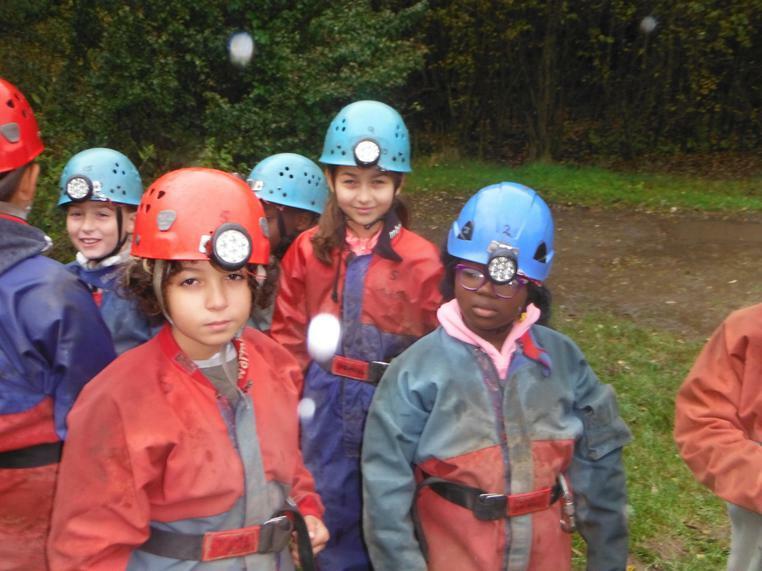 Although there are some tired faces, the children are all having an incredible time and really looking forward to what tomorrow will bring. 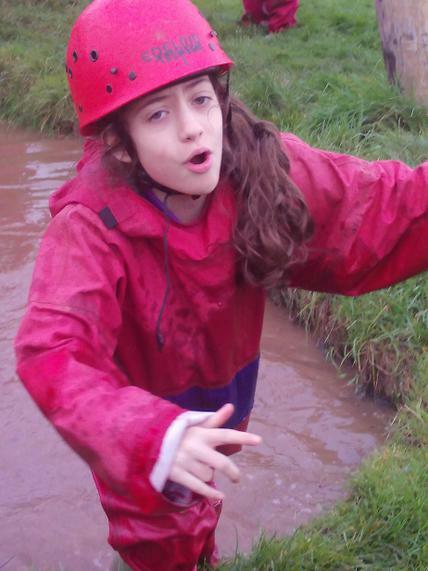 Day two has now come and gone and it has been another wonderful adventure. 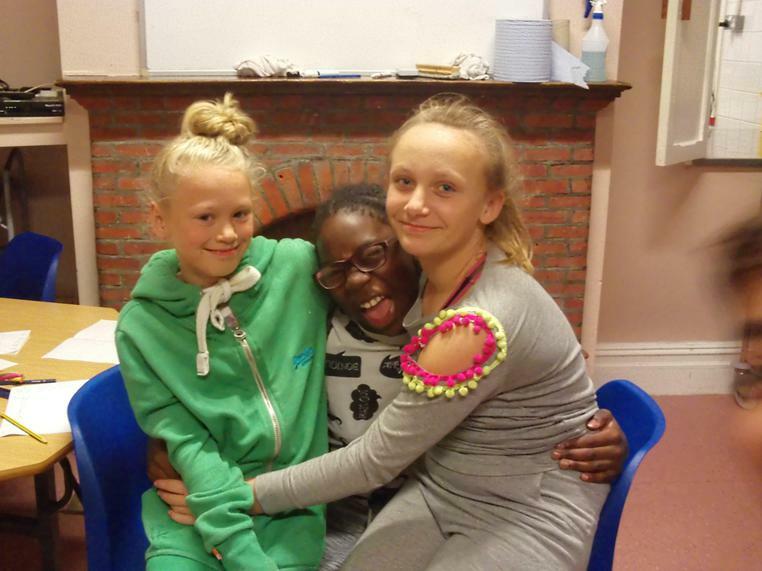 Some of us are beginning to show some signs of tiring but we all continue to persevere and have an incredible time. 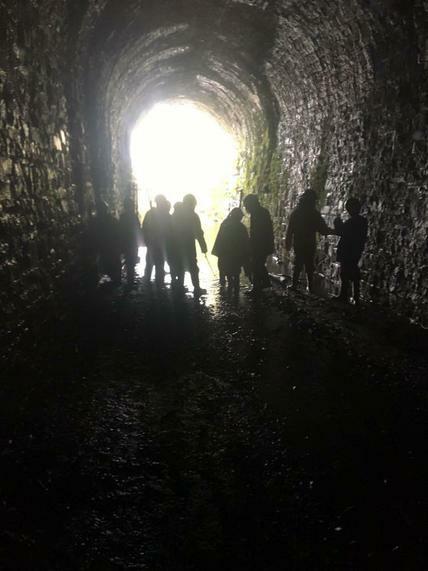 Group one really pushed themselves today starting out with a rather spooky adventure through an old, disused train tunnel. 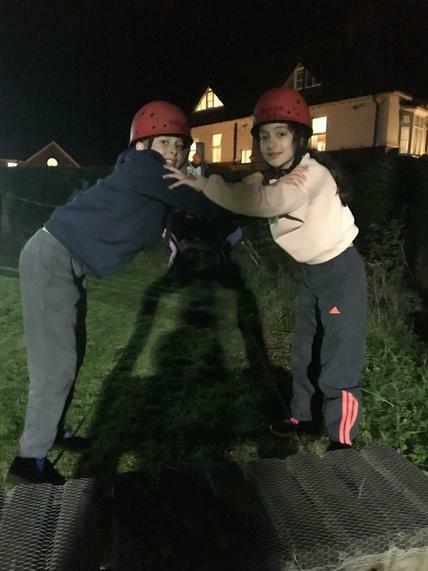 Although going through in the pitch black certainly rattled a few nerves, they demonstrated excellent teamwork and succeeded. 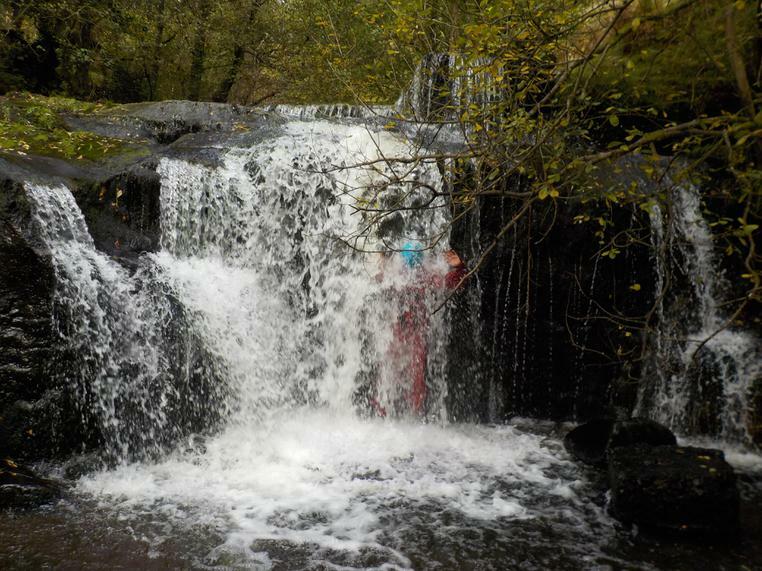 That was followed by a real adventure through some waterfalls - actually getting behind and (in some cases) even through the water falls. 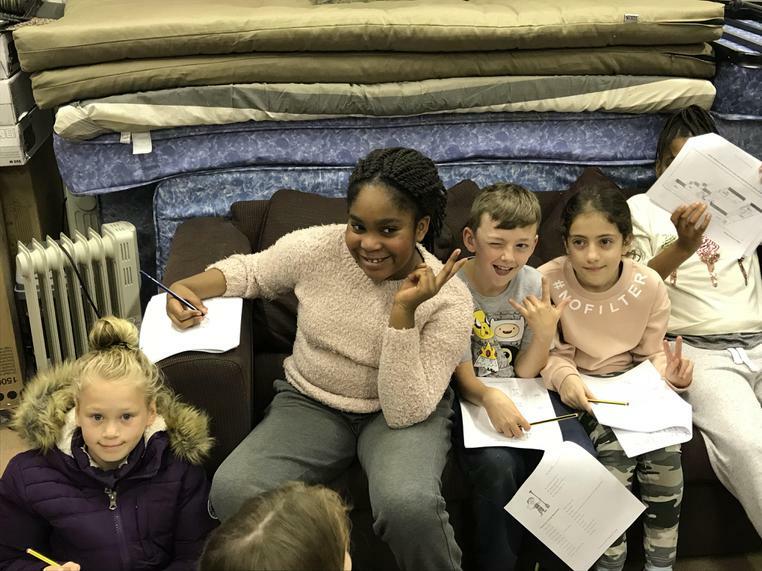 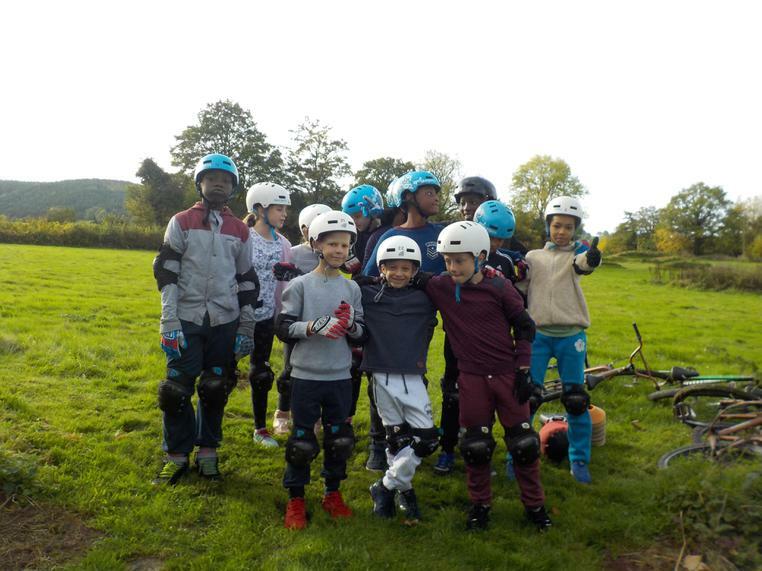 Although group two's day was filled with mostly individual activities, they really showed excellent team work by helping to explain things to others as well as really encouraging all the members of their team. 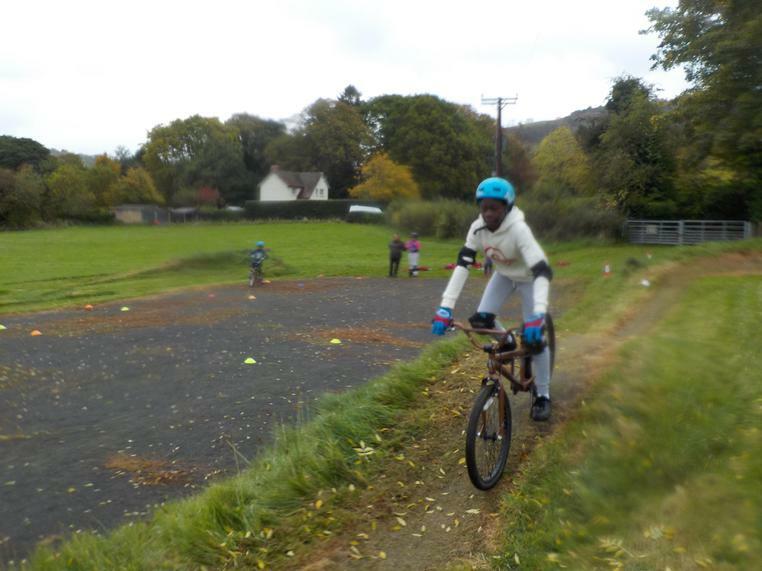 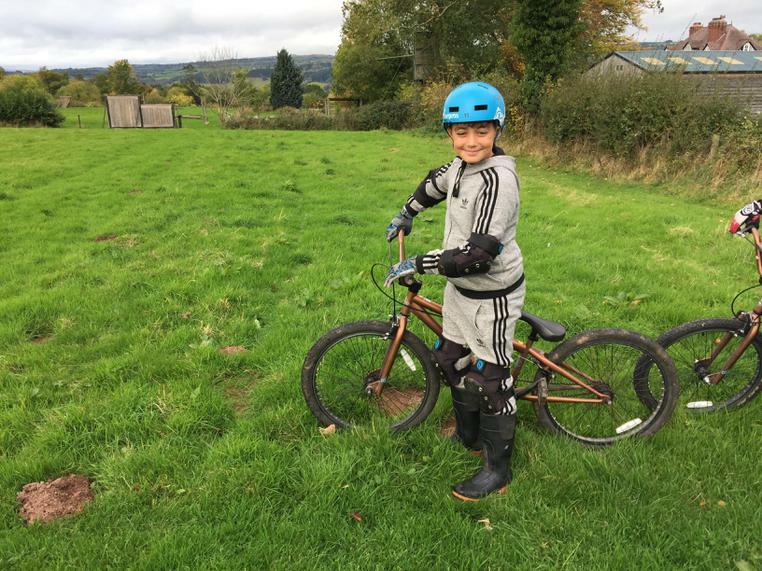 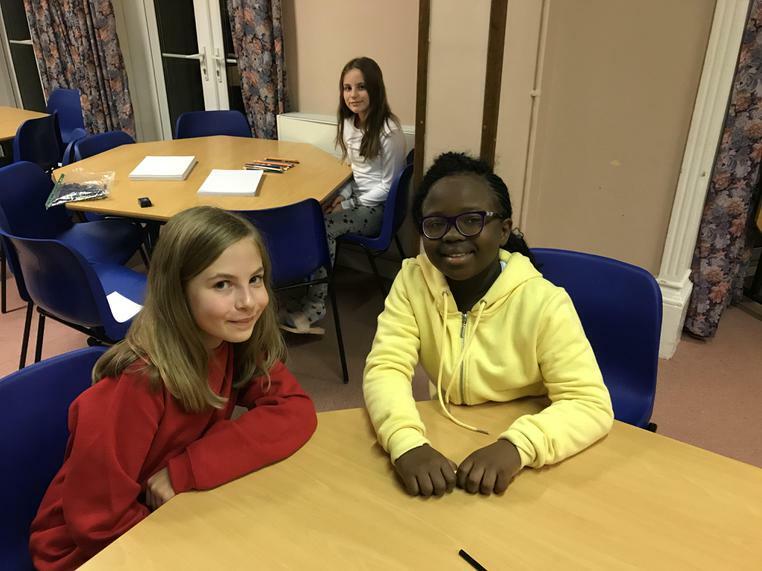 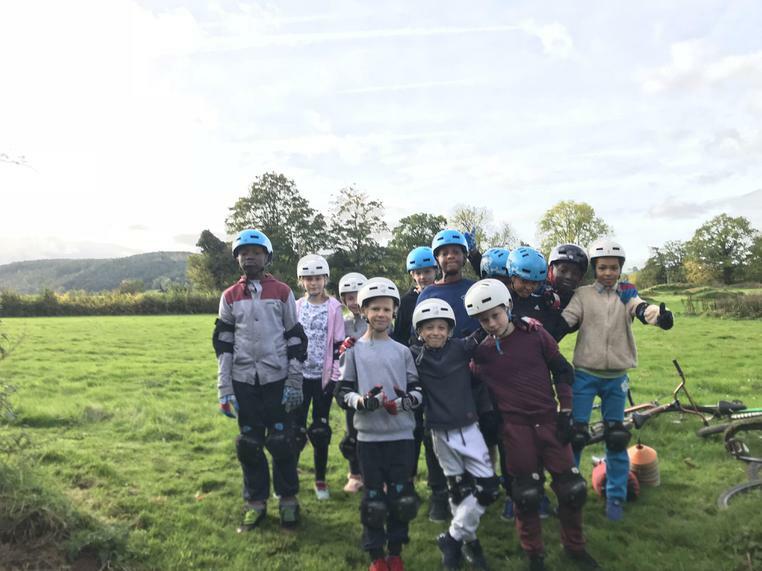 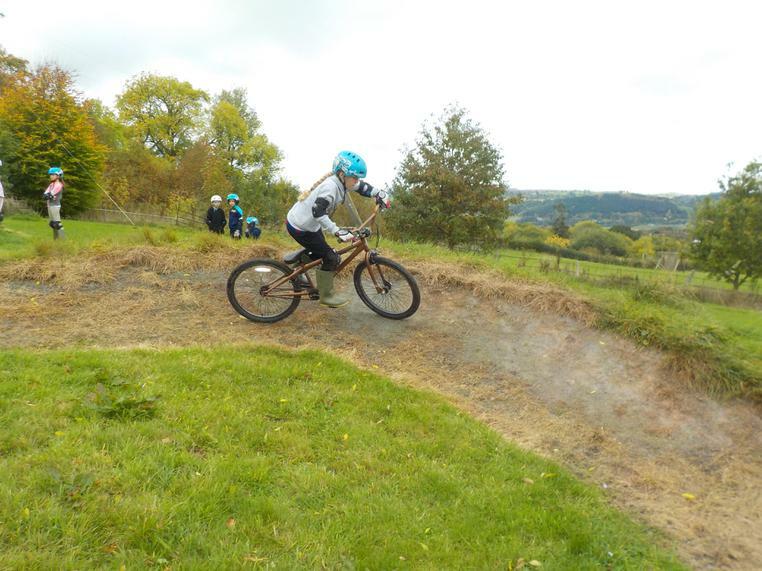 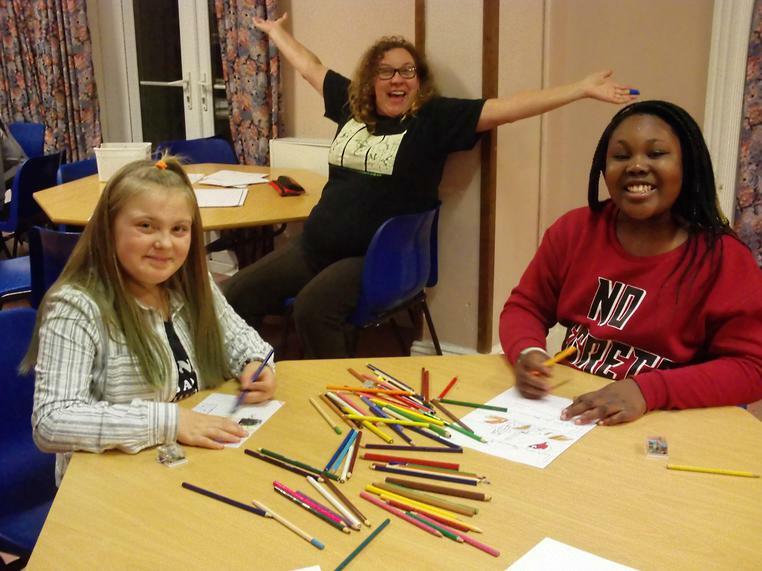 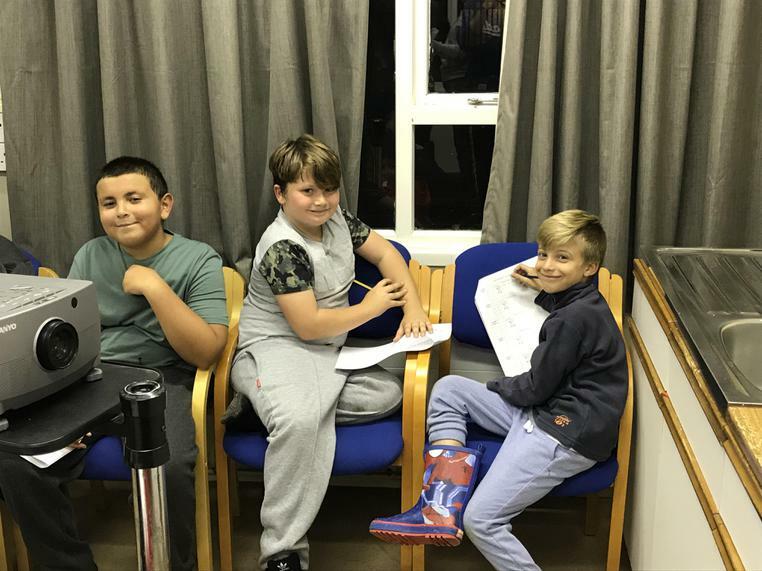 They had an opportunity to try out Trewern's BMX track, archery and even attempted to conquer the infamous muddy puddle - nobody make it but it was loved by all. 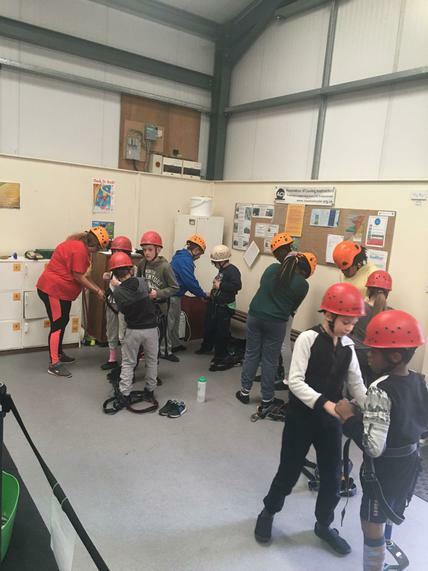 Group three completed the same activities as group one and also conquered their fears.They truly demonstrated the Godwin values and really worked excellent together. 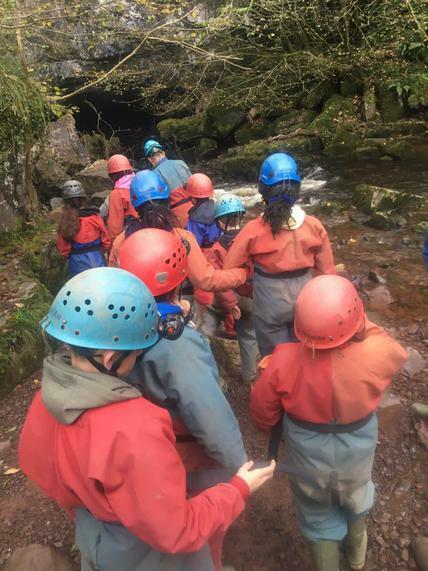 In the tunnel, they needed to communicate and rely on each other and lets not forget that they also had the opportunity to ride down some natural rock slides! 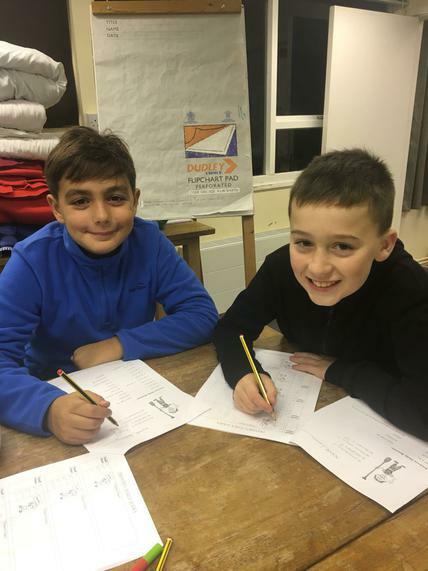 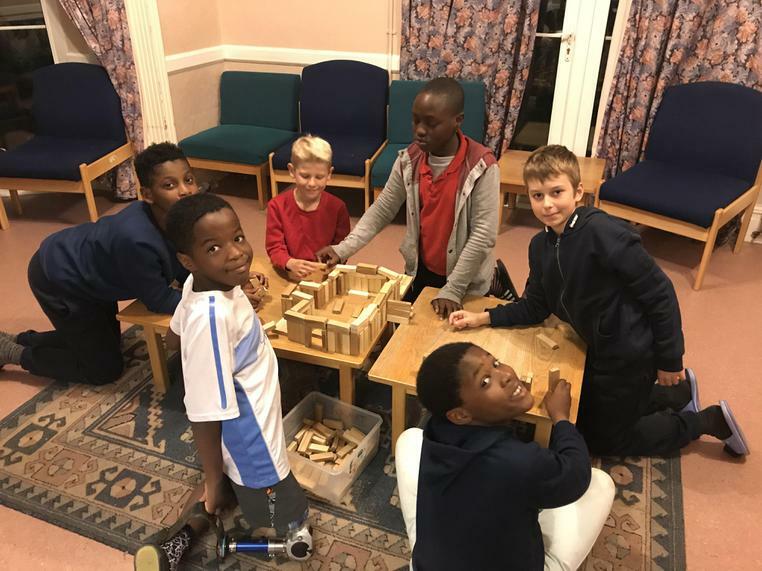 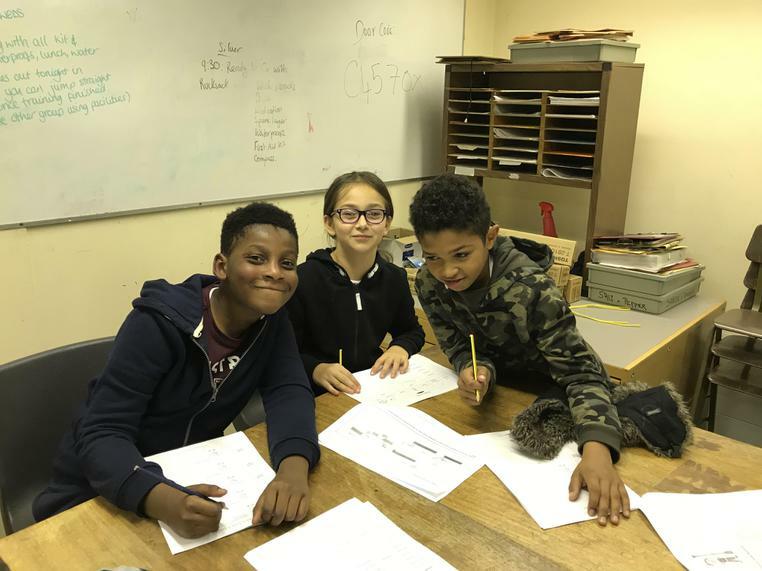 This evening activities will again promote team work as the children work together on a variety of problem solving issues before moving on to finish up in the classroom. 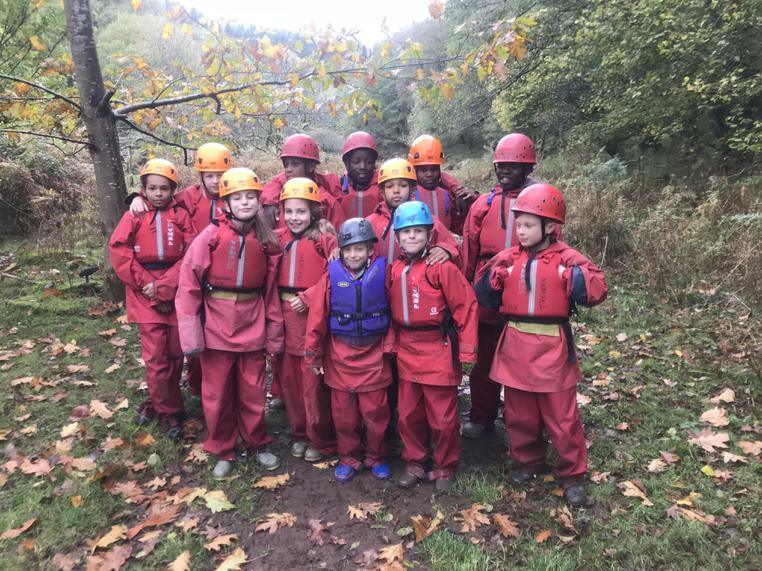 It continues to be an adventure and we are all very excited to watch the children continue to mature and grow as the week progresses. 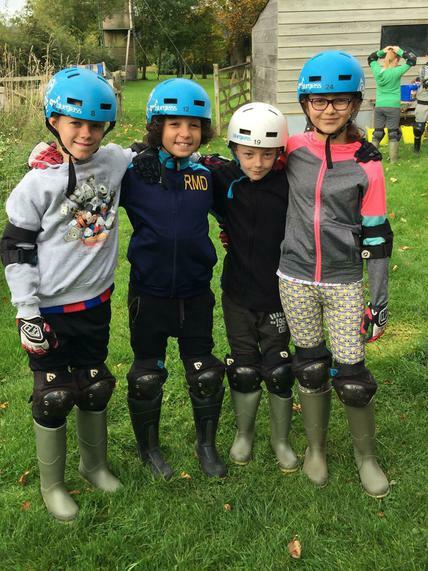 Well everybody has arrived safety and it has been fantastic thus far. 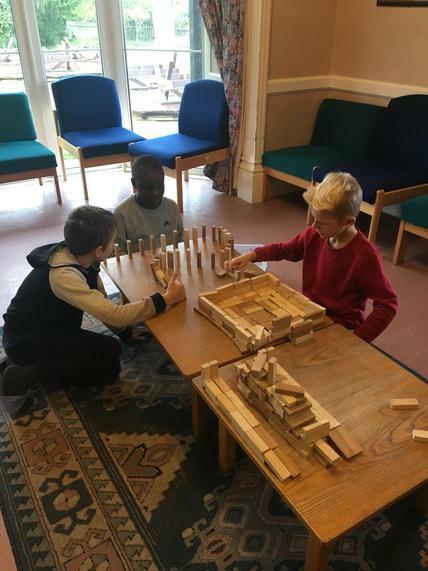 The children have showed developing listening skills as well becoming more independent and really making an effort to try some new things. 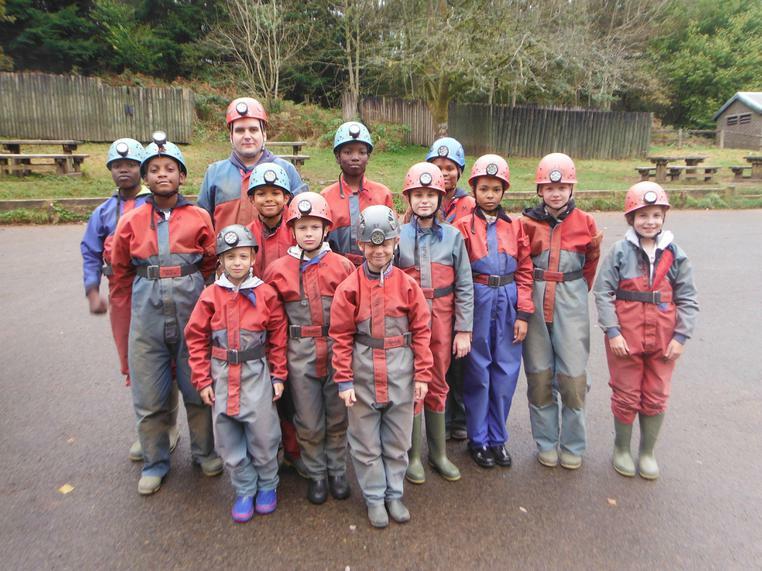 Group one had a wonderful day venturing underground and trying their hand at caving. 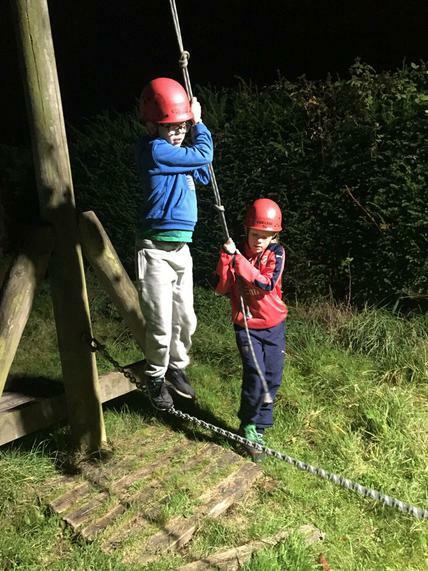 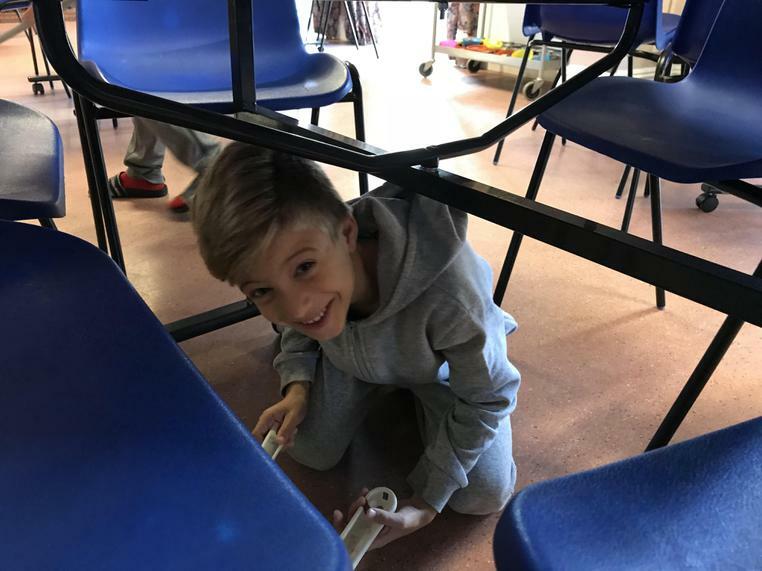 Initially, the children were quite apprehensive but they really pushed and challenged themselves to demonstrate some excellent teamwork. 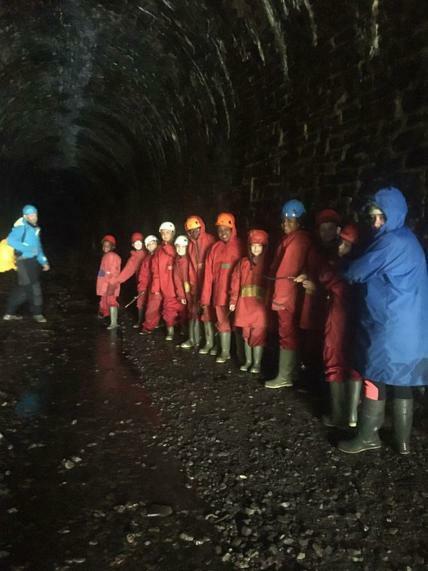 Group two faced down a rather spooky abandoned train tunnel and ventured through the dark before diving in for some excellent gorge walking. 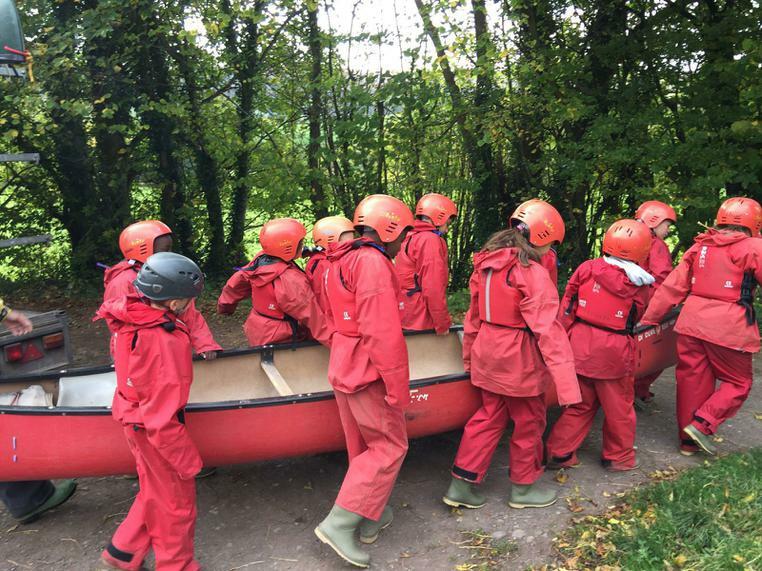 Rounding off the day, group three had the opportunity to canoe down the local canal before ascending to dizzying heights in the in door climbing wall. 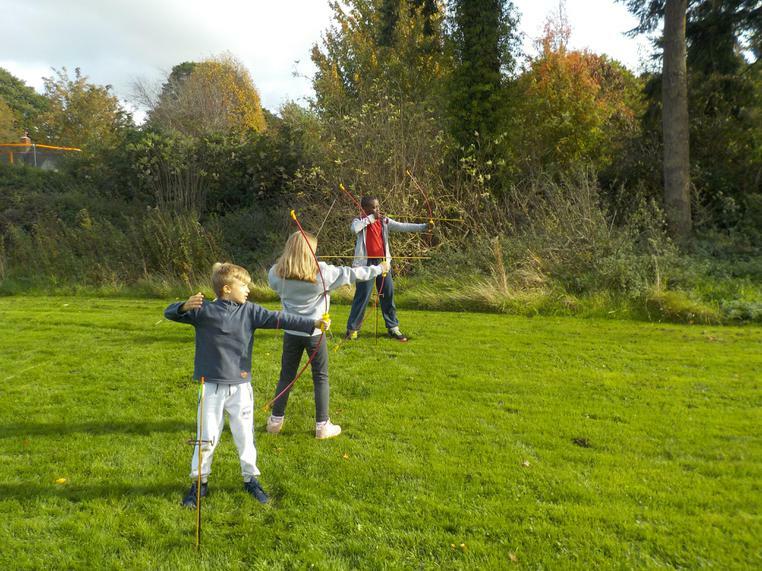 For our evening activities, all the children have taken part in an excellent team building orienteering activity. 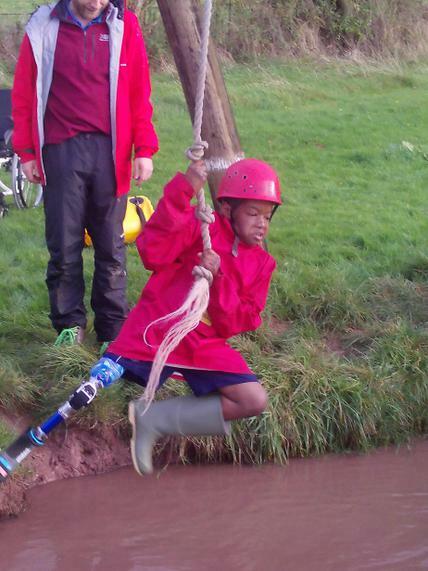 It has been a real adventure so far and we are very excited to see what tomorrow will bring!